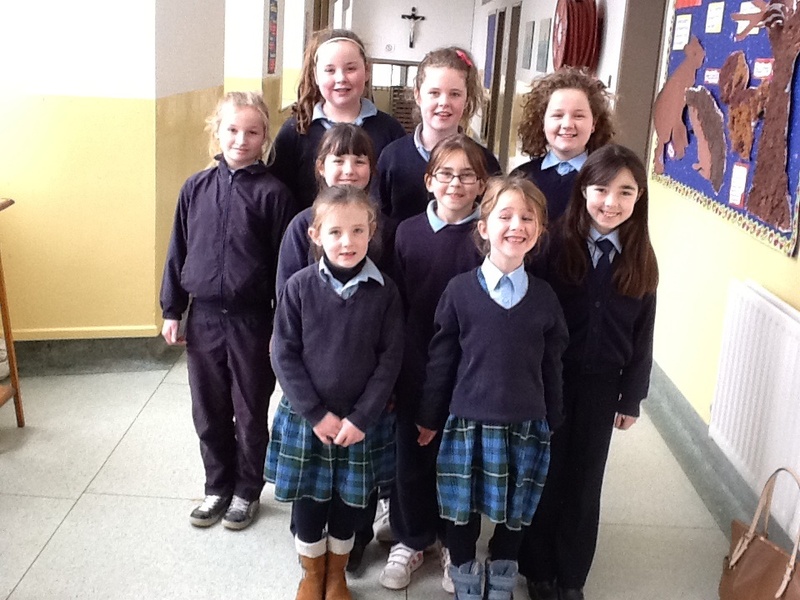 Well done to the u10 Castlerea Celtic girls soccer team. 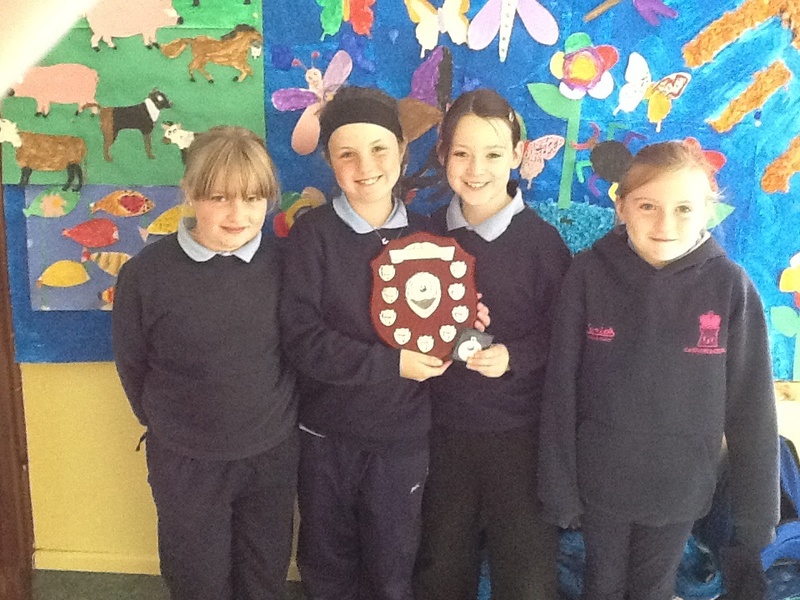 They recently won two shields and a cup at the Dunmore blitz. 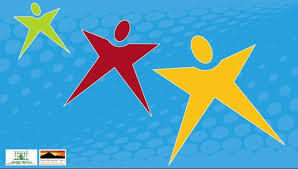 We are delighted to announce that we have been awarded the Active Schools Flag. 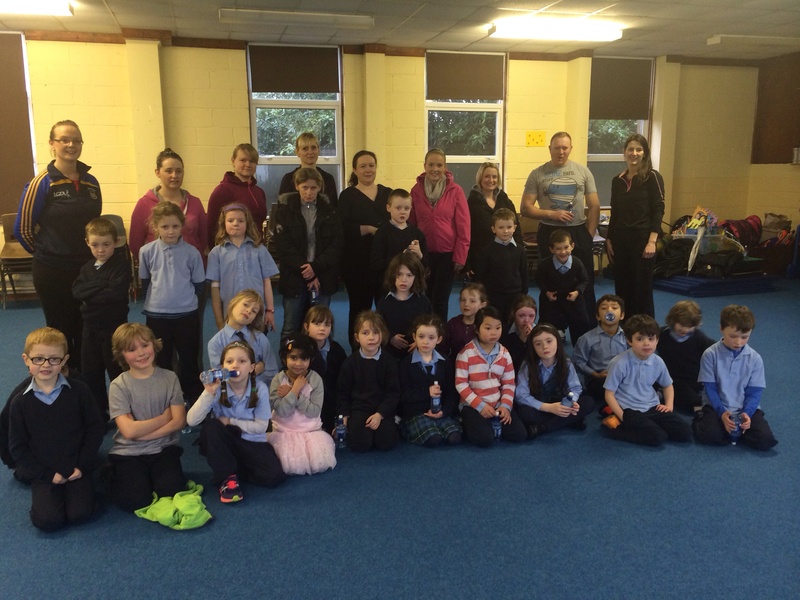 Well done to everybody on a wonderful achievement. 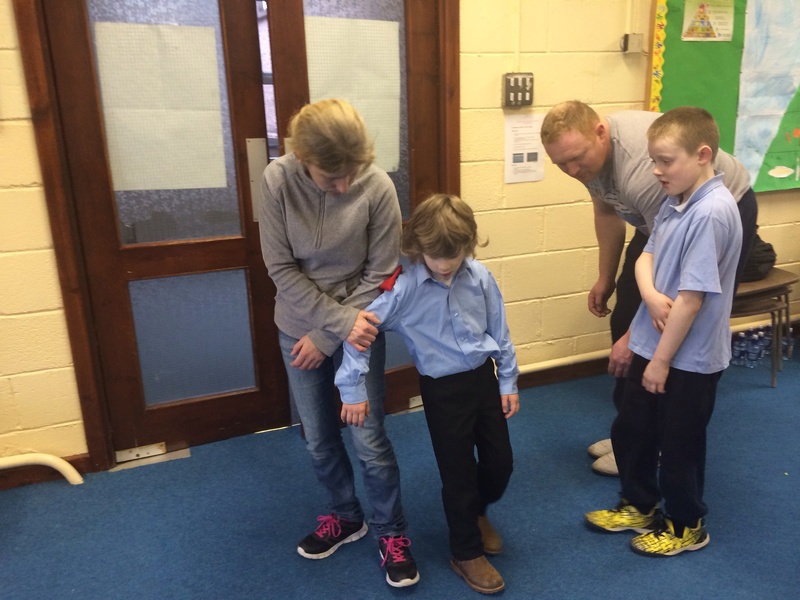 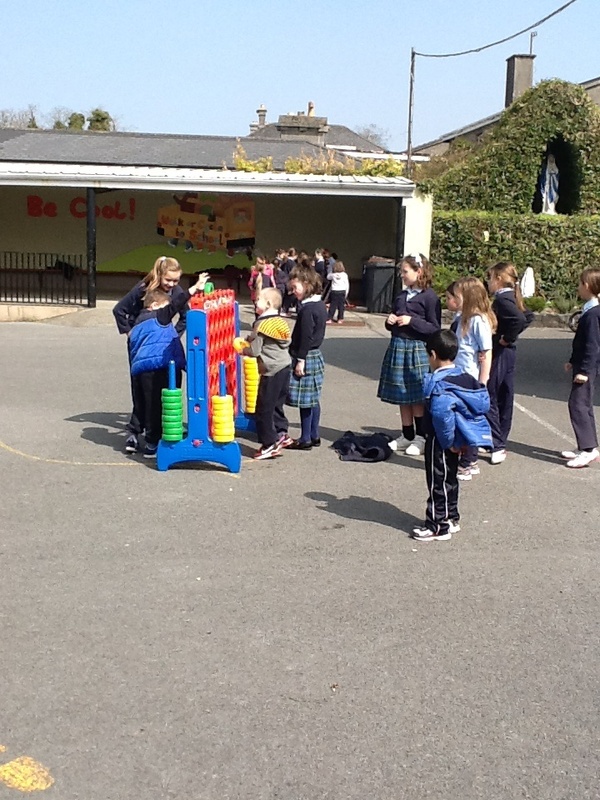 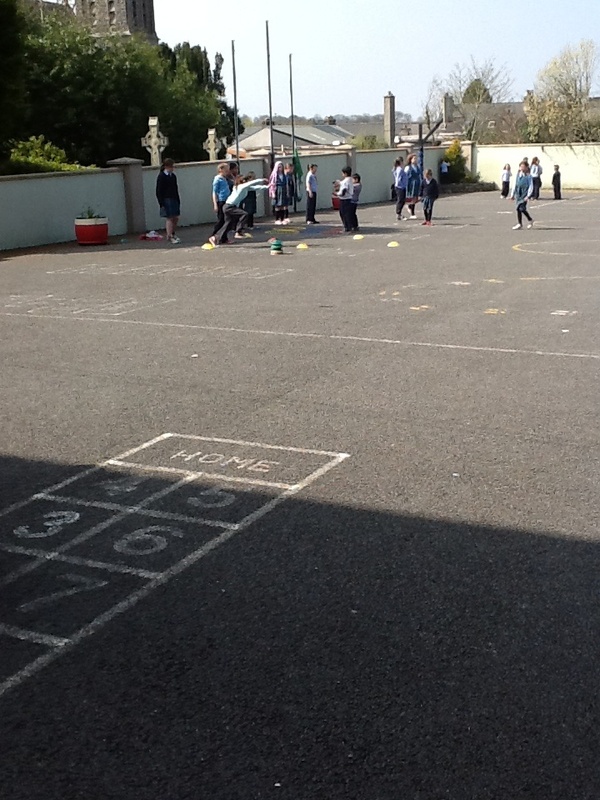 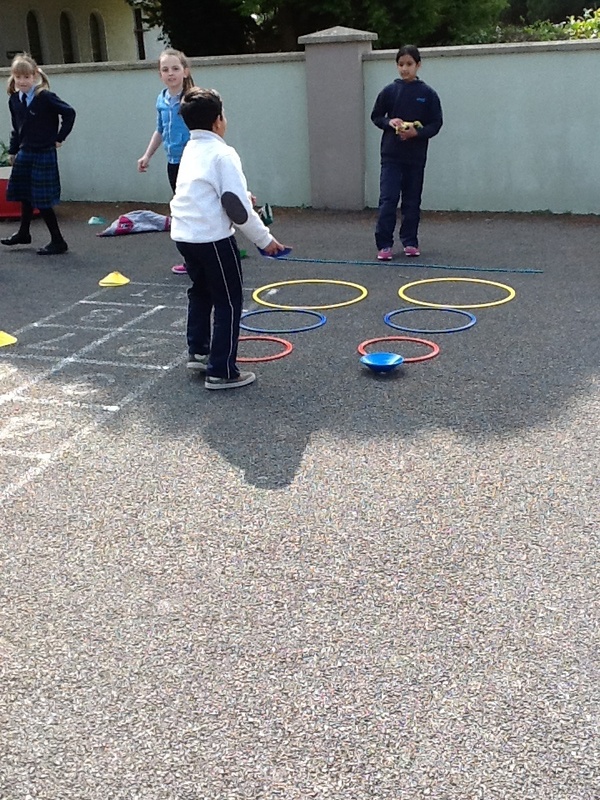 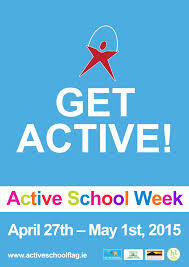 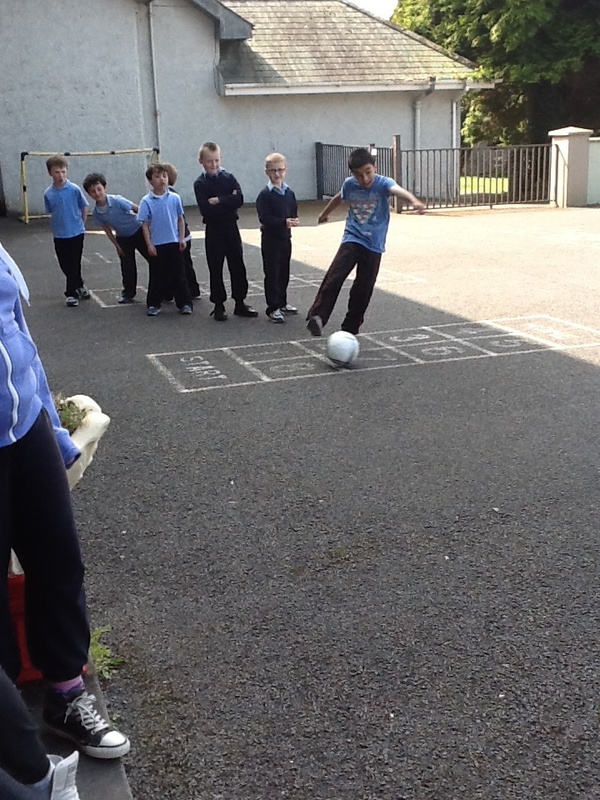 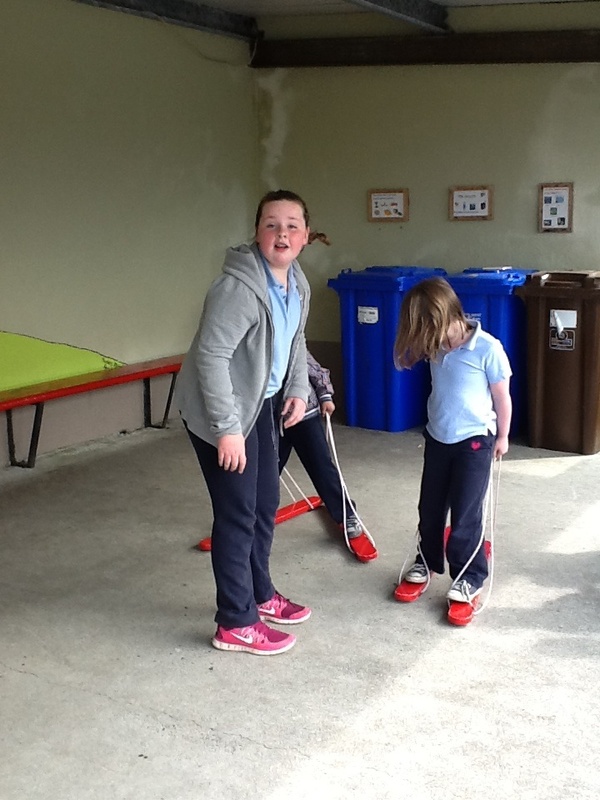 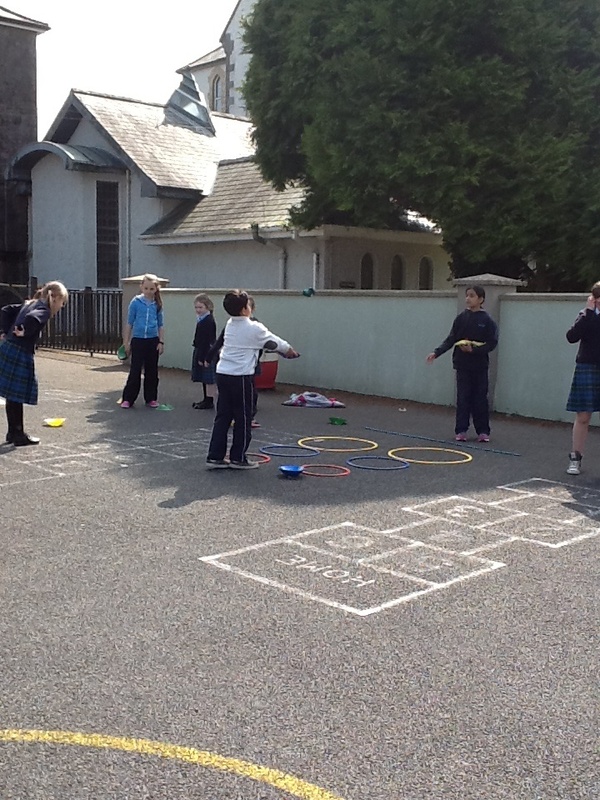 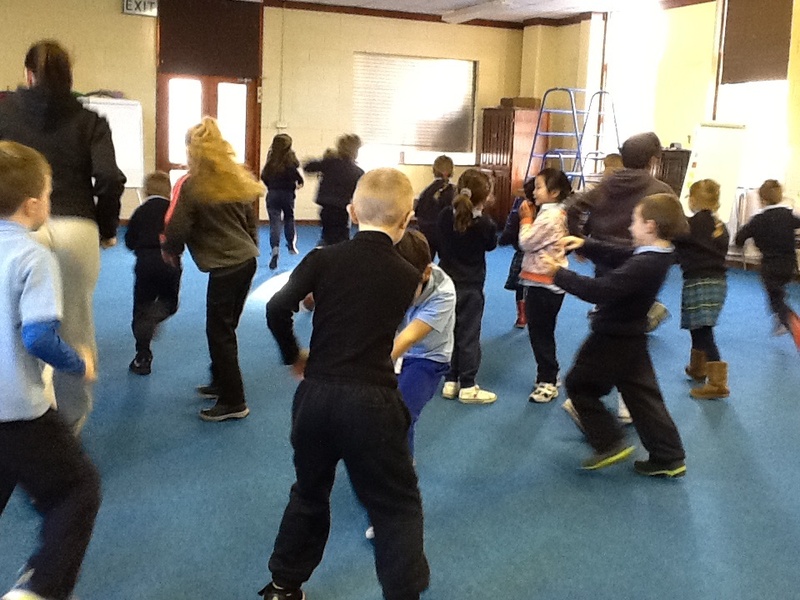 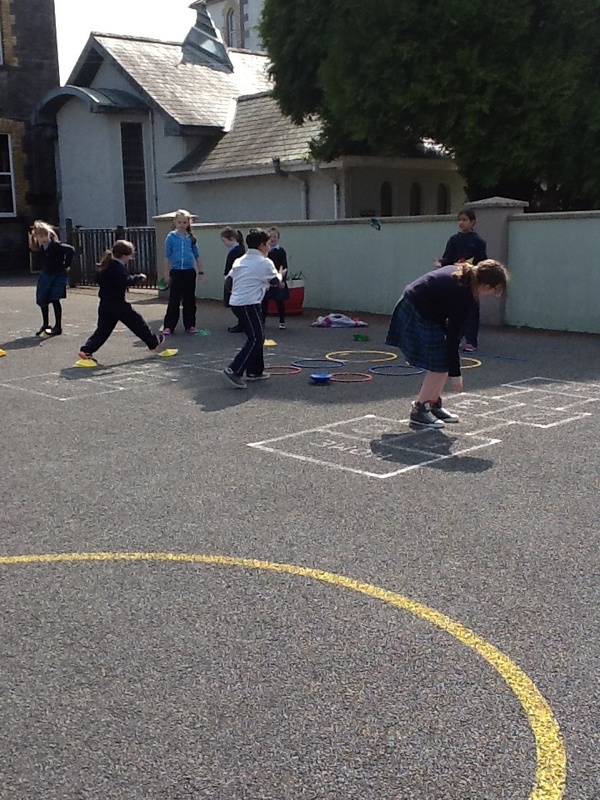 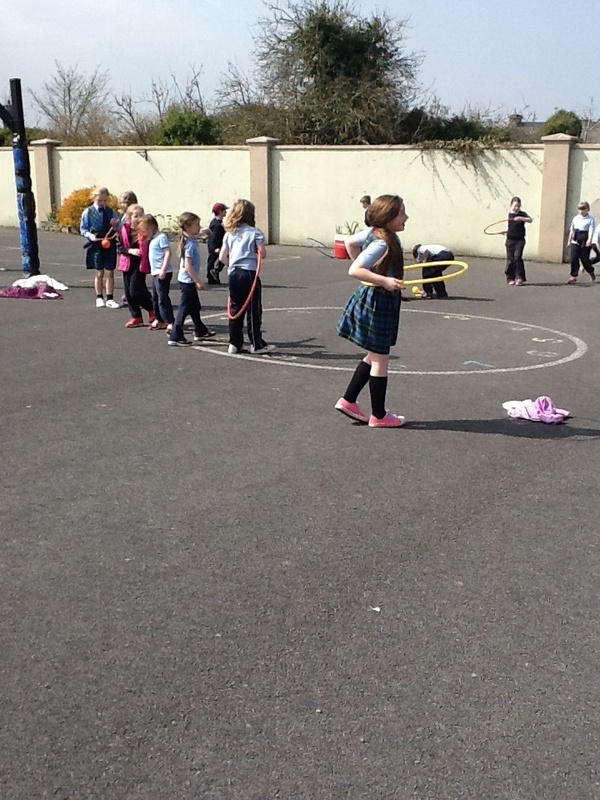 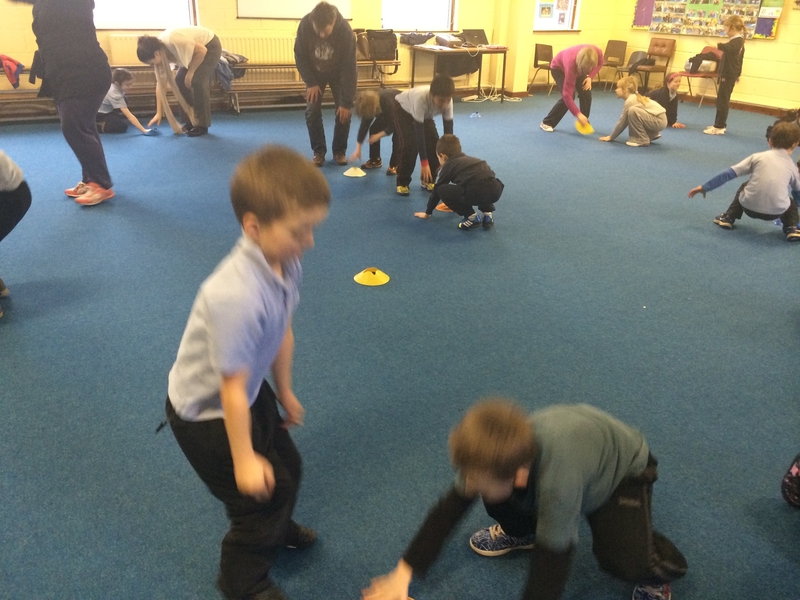 Different activities have been organised for all classes each day during Active Schools Week. 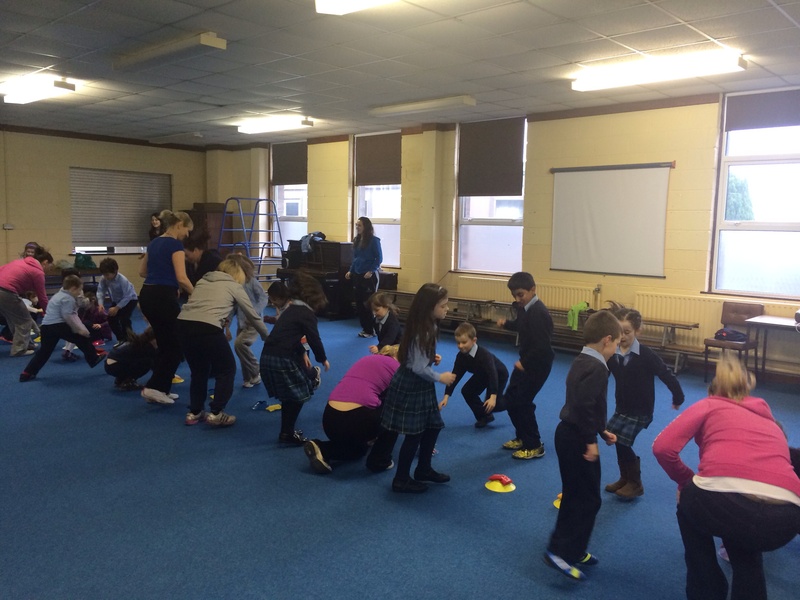 St. Anne’s are working towards its very first Active Schools Flag. 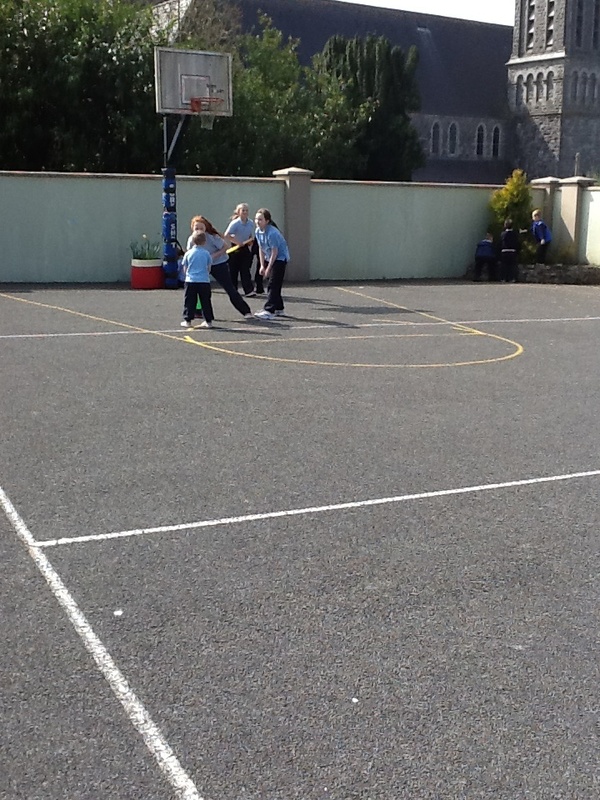 The Active Schools Flag is a Department of Education initiative. 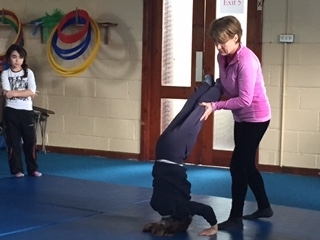 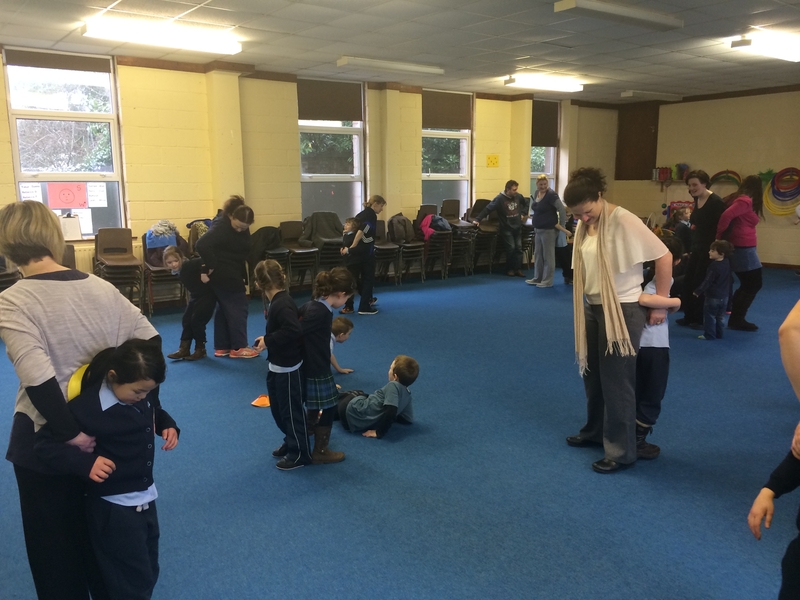 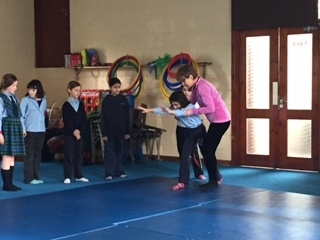 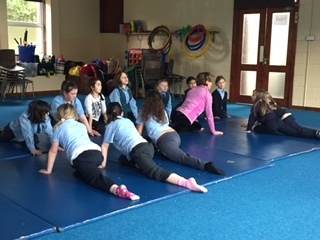 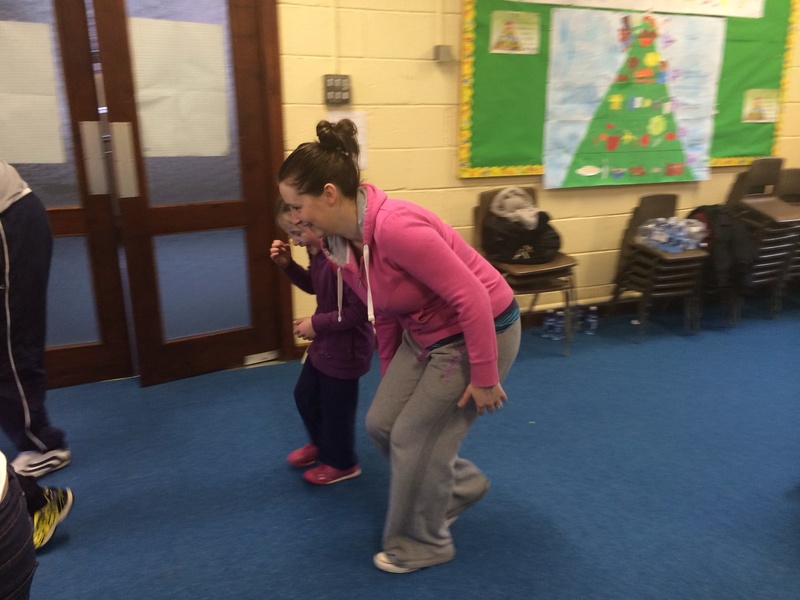 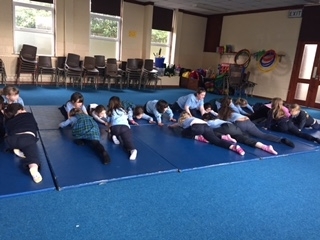 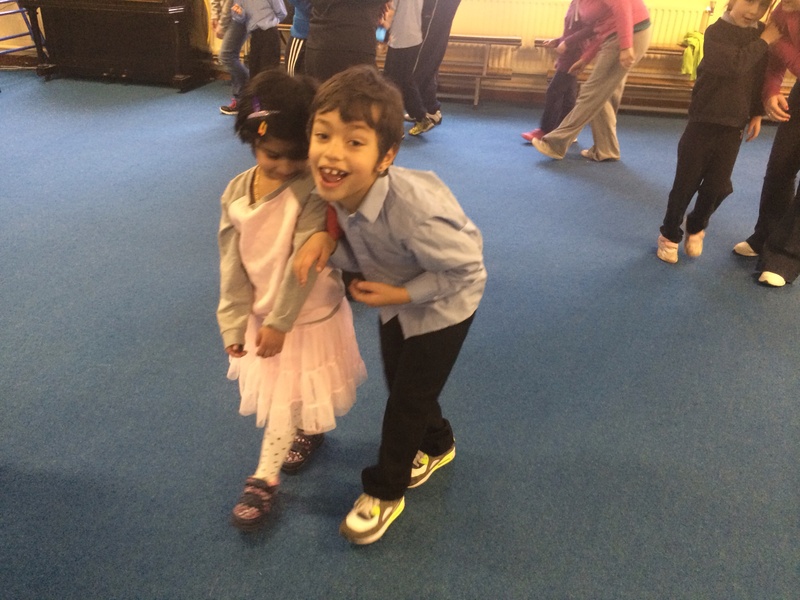 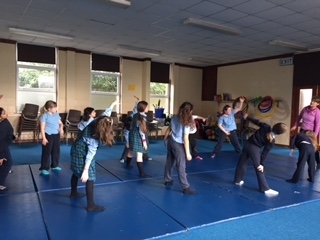 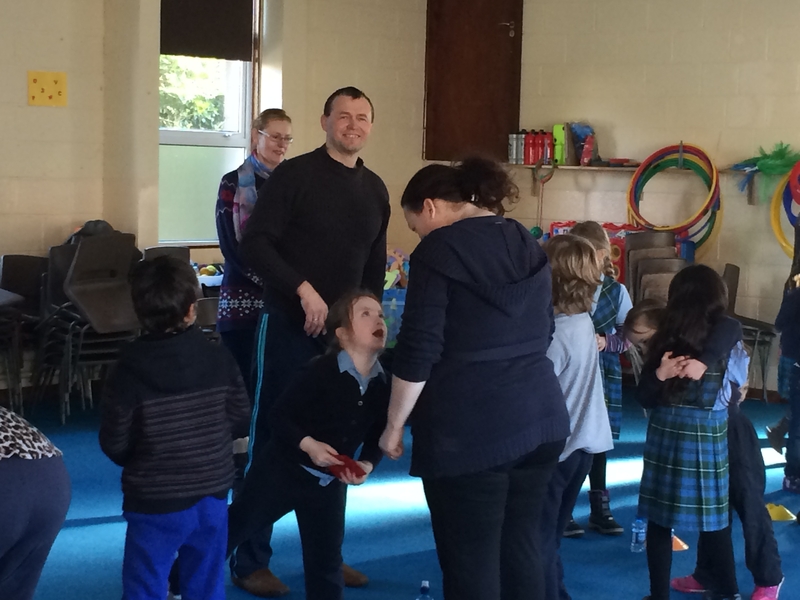 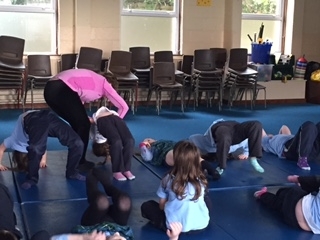 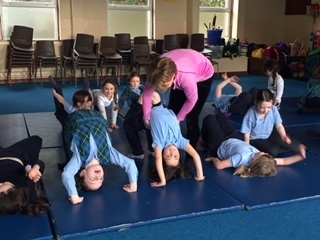 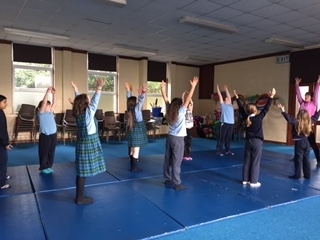 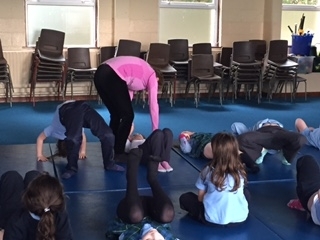 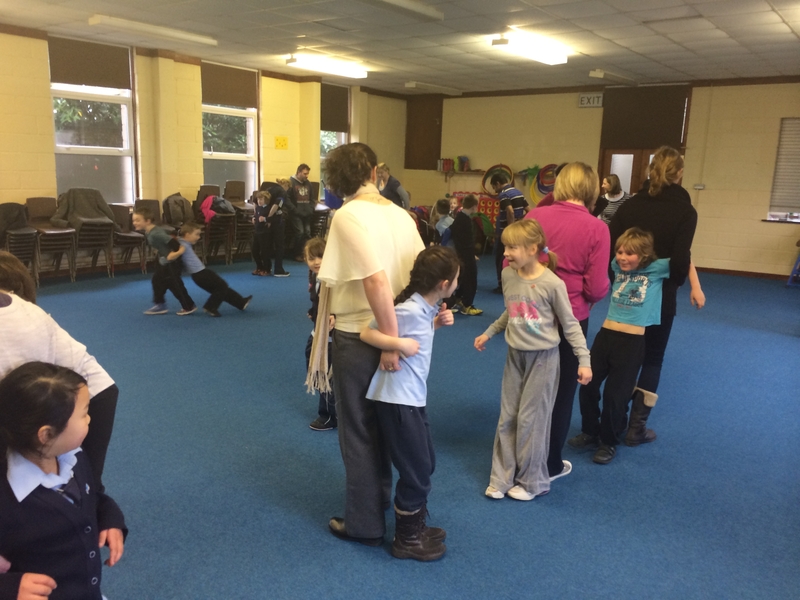 We have introduced lots of new fun activities like – ‘ D.E.A.D – Drop Everything And Dance’, a ‘running club’ on Mondays, Wednesdays & Fridays, ‘Fitness Fridays’ and ‘Buddy Thursday’. 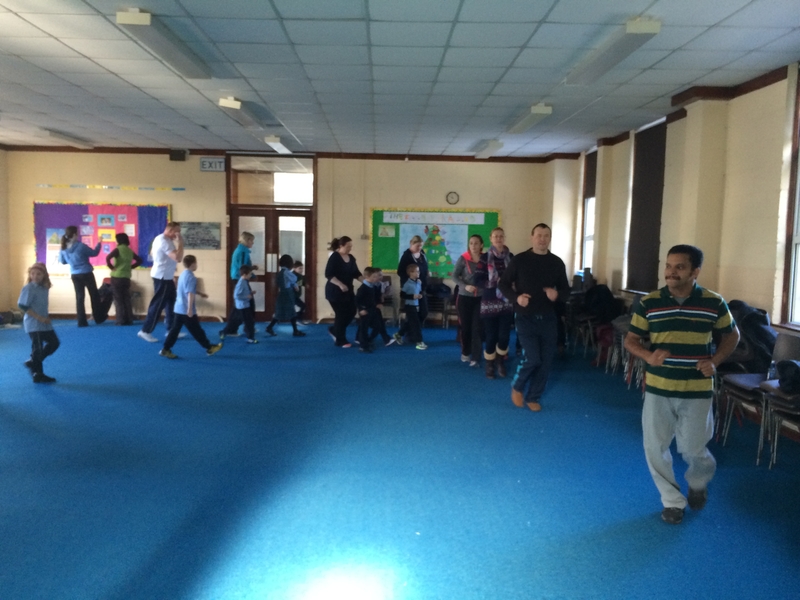 During our running club, we are training for our upcoming 5km Fun Run and the GLO Health Mile Challenge. 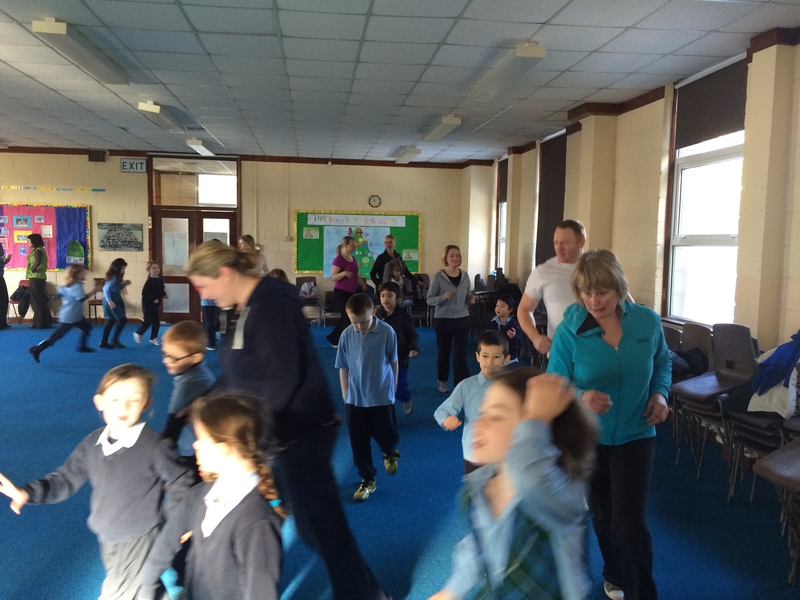 We are all having so much fun and becoming fit and healthy! 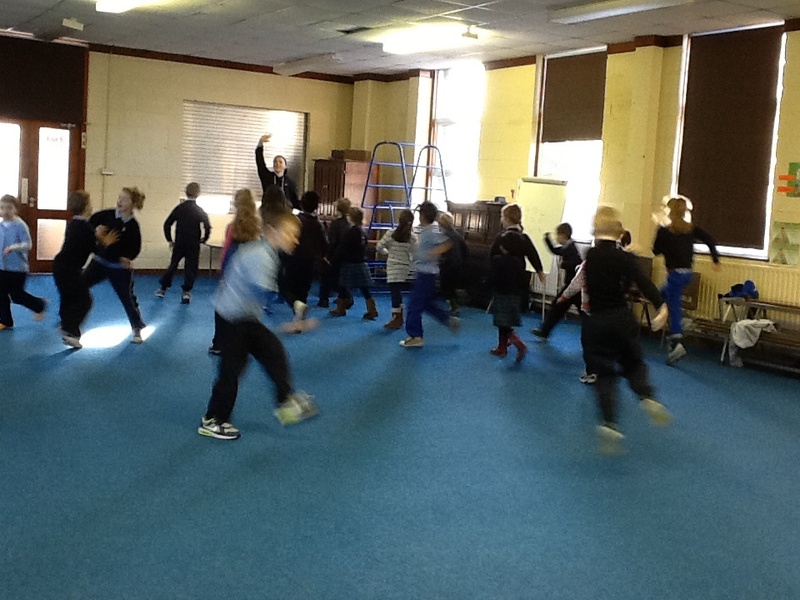 Jump, skip, hop and run. 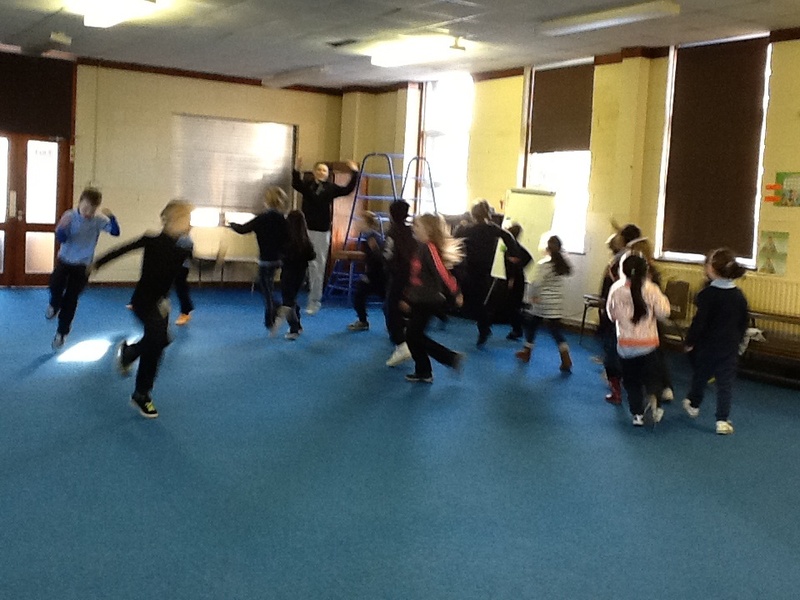 Run around, touch the sky. 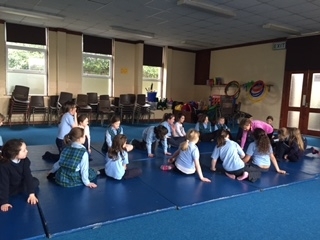 9:30 Relays /Team gamesSenior Infants ZumbaFirst Class 3rd, 4th, 5th -Cycle training programme6th Class will work with JI, SI, 1st & 2nd playing mini games / obstacle course. 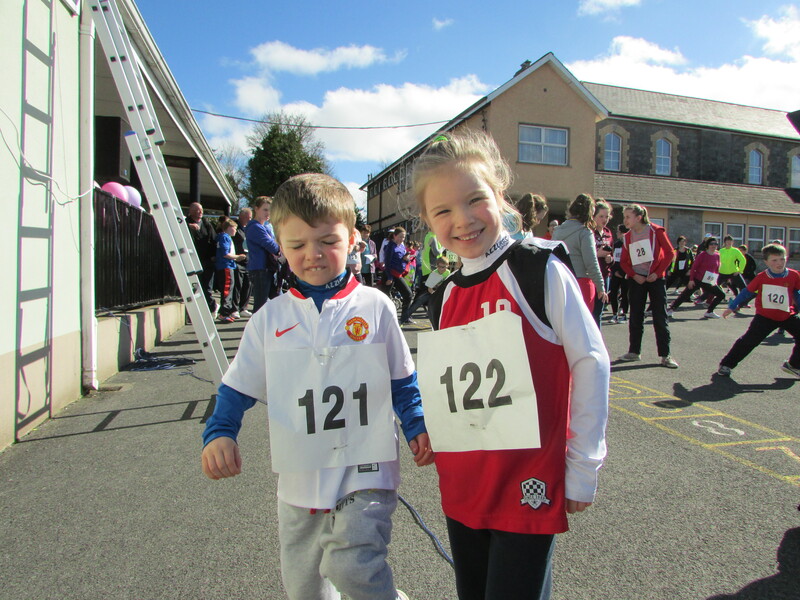 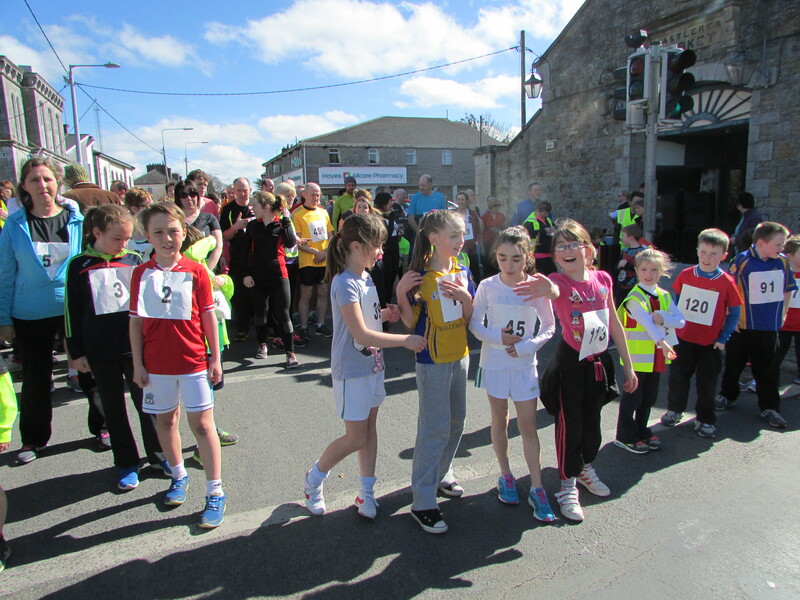 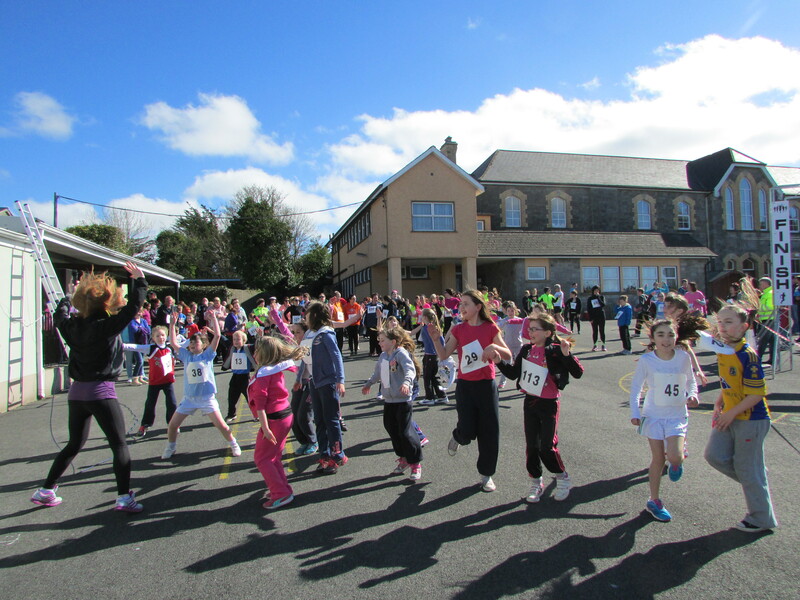 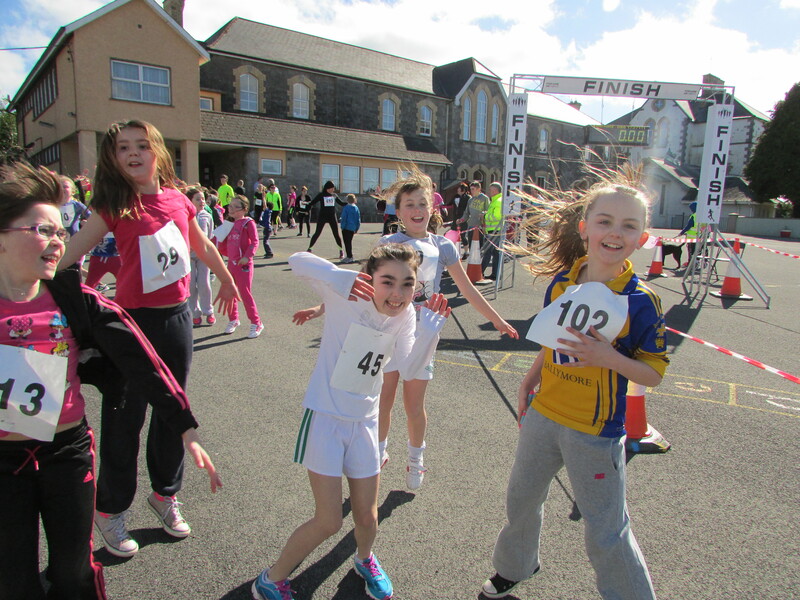 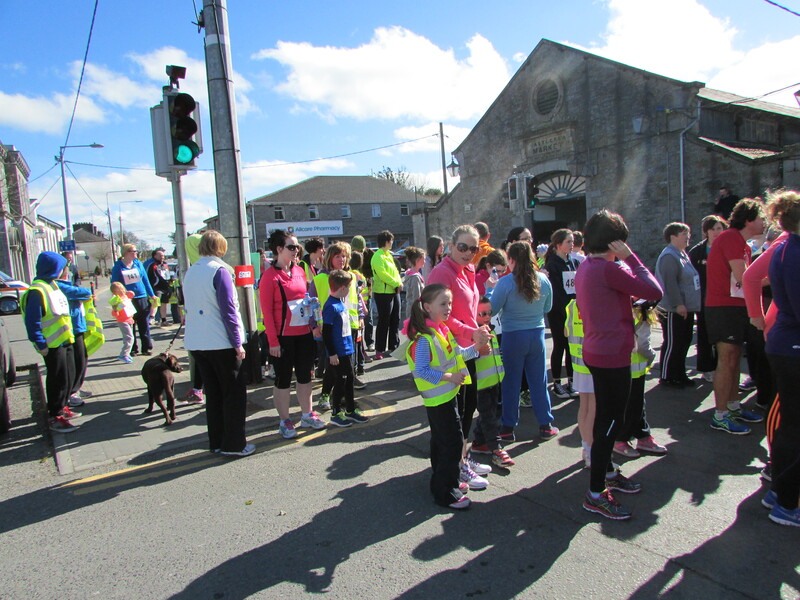 Our second annual 5k /10k was a huge success again this year. 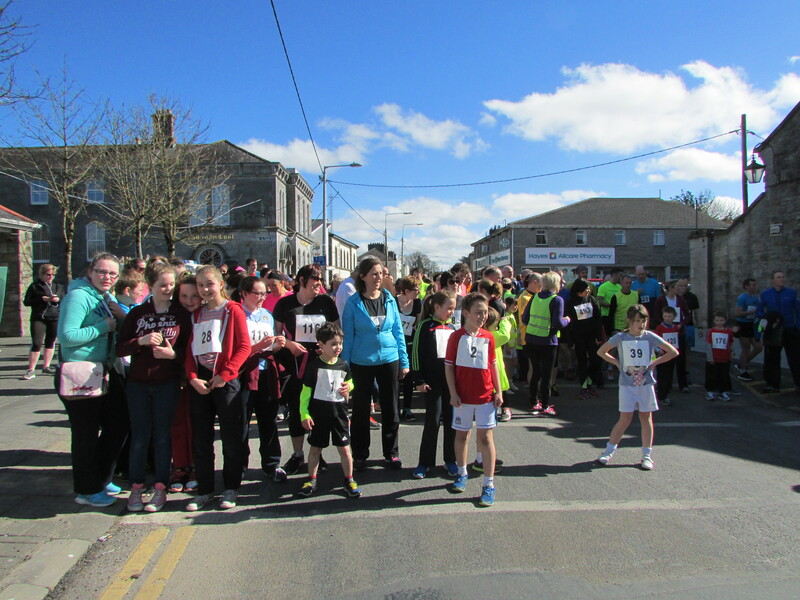 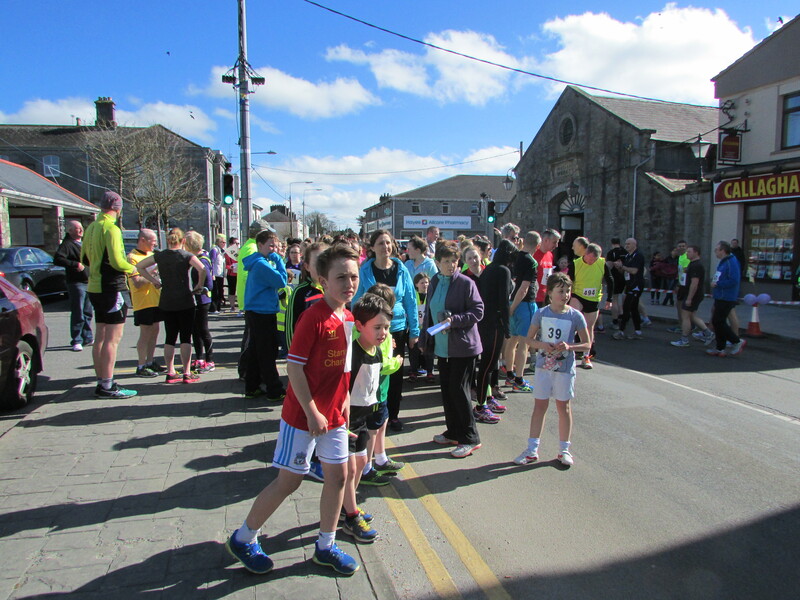 We had over 230 participants taking part. 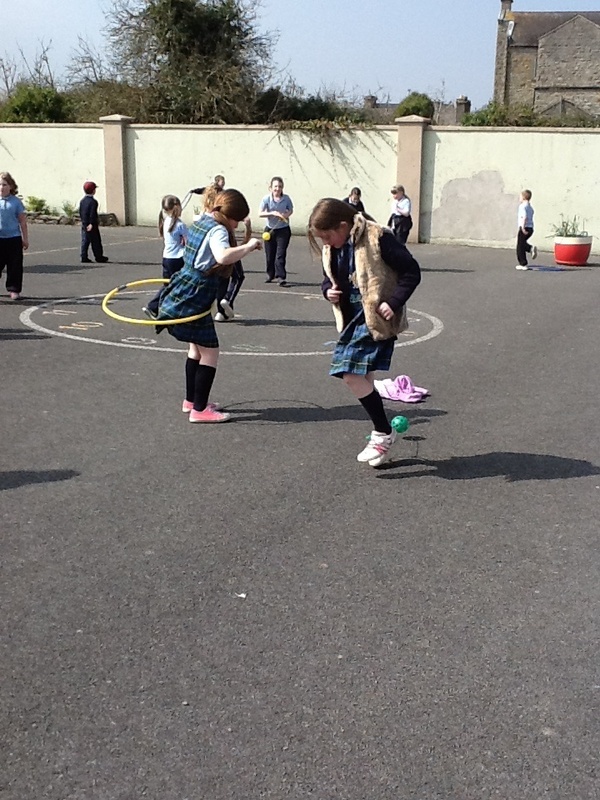 Everyone had a very enjoyable day. 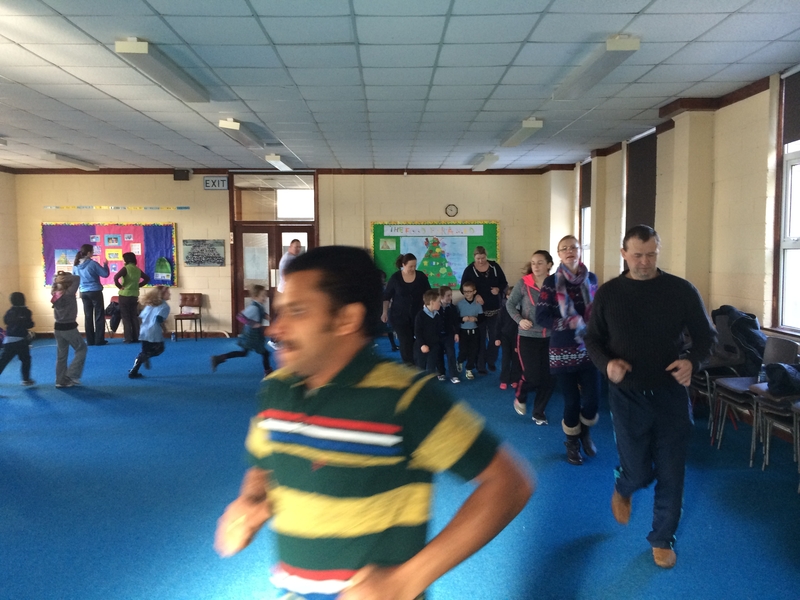 Running Club takes place on a Monday , Wednesday and Friday at Lunch time. 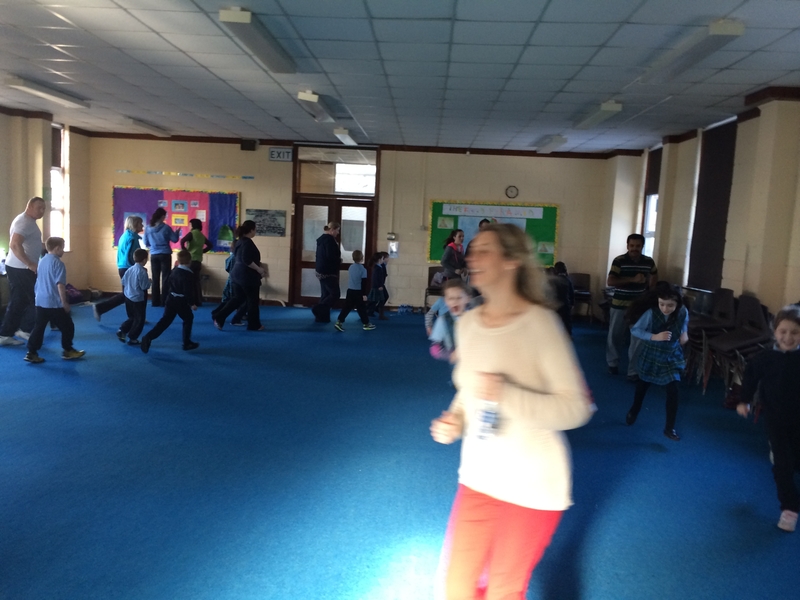 We are training for our upcoming 5K fun run and the Glo Mile Challenge. 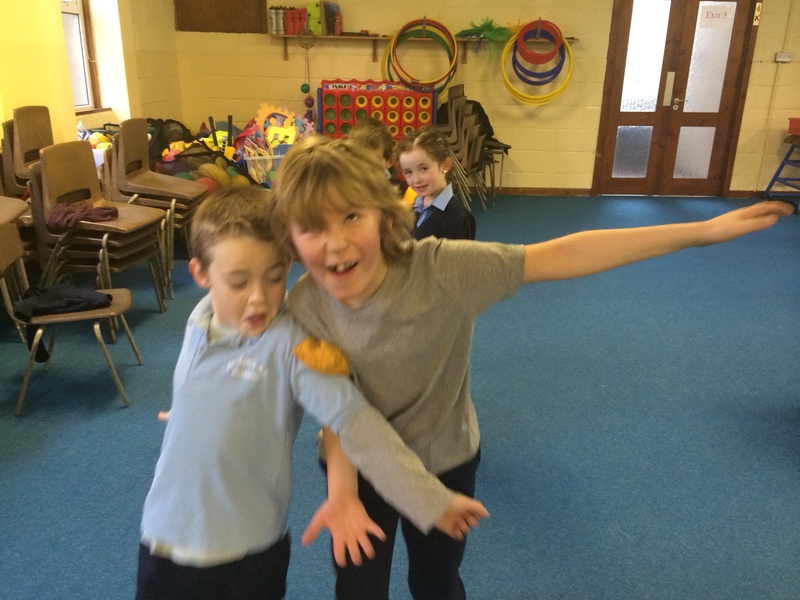 We play with children that we would usually not play with. 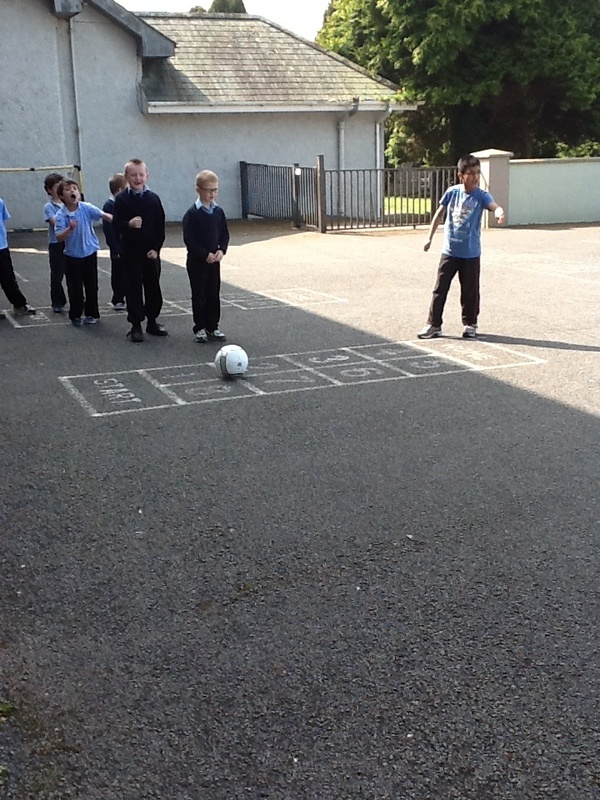 It is fun and it helps us to make friends with different children. 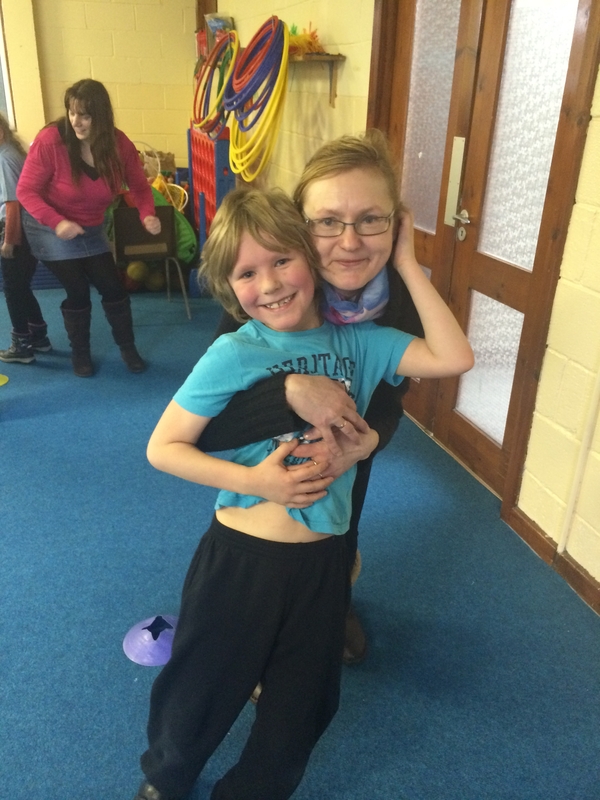 We always make sure no one is left out! 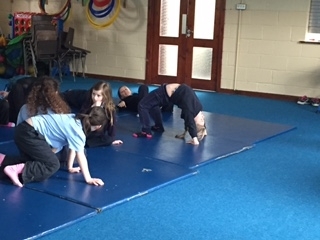 All classes are now participating in the Gymnastics strand on a Friday. 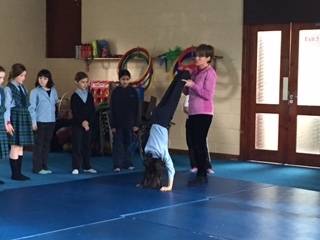 Freda is our gymnastics teacher. 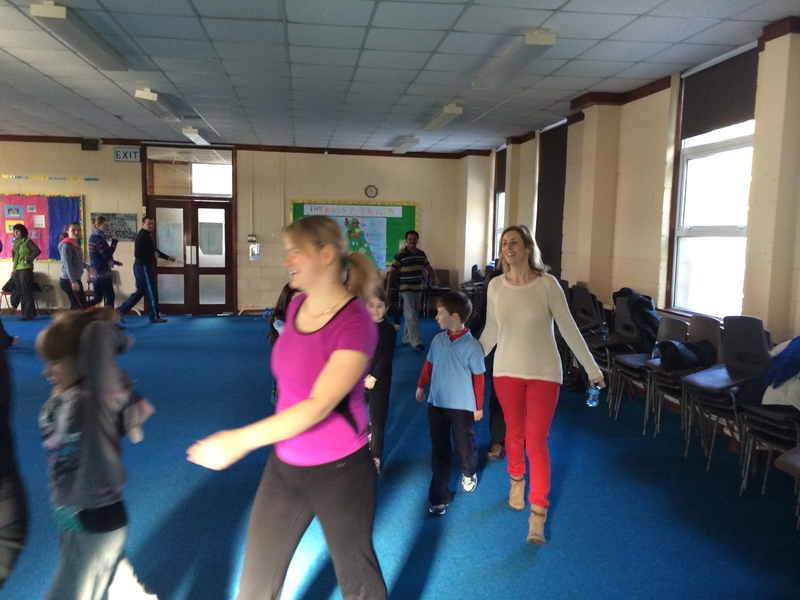 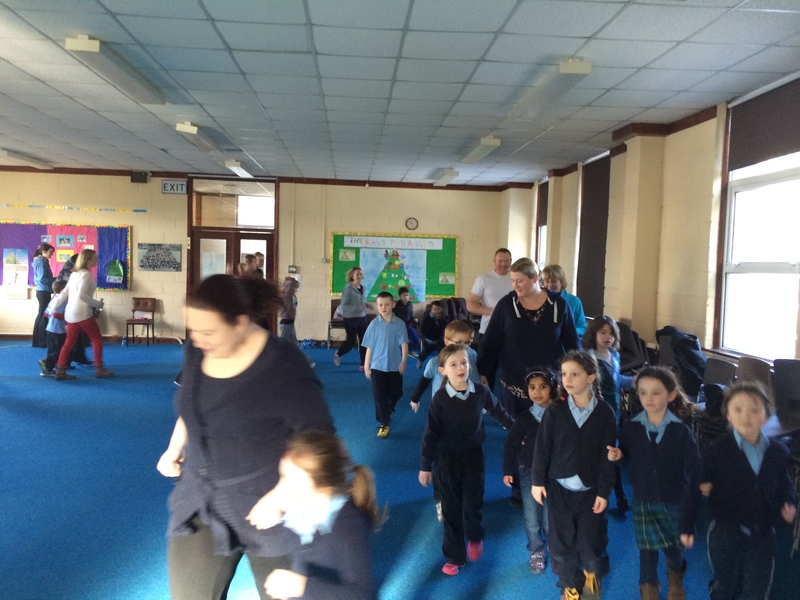 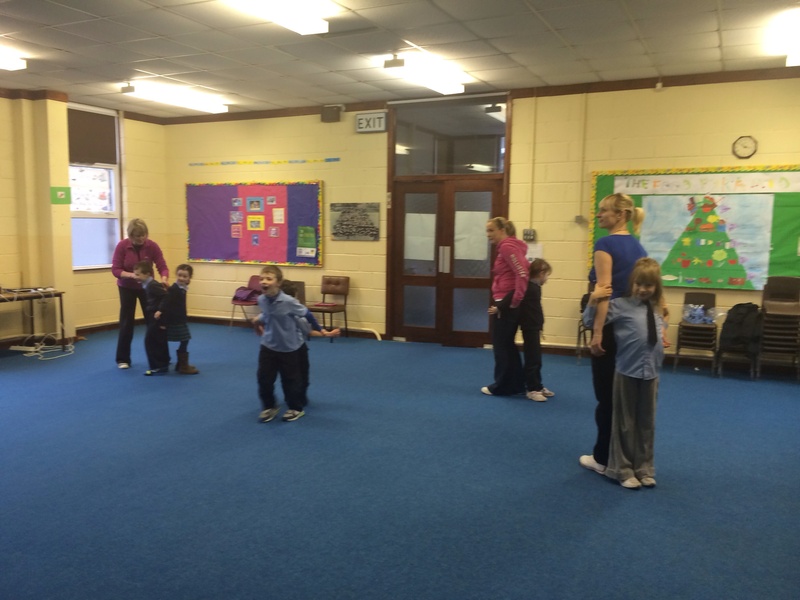 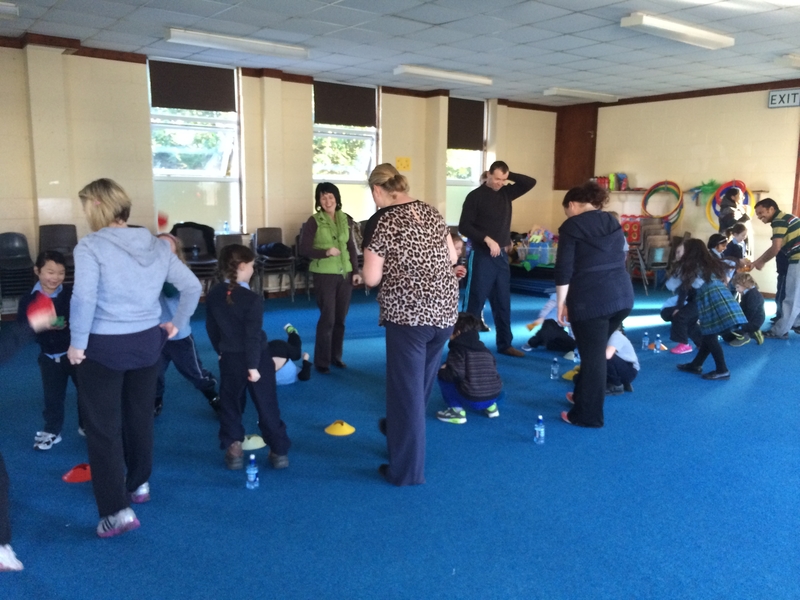 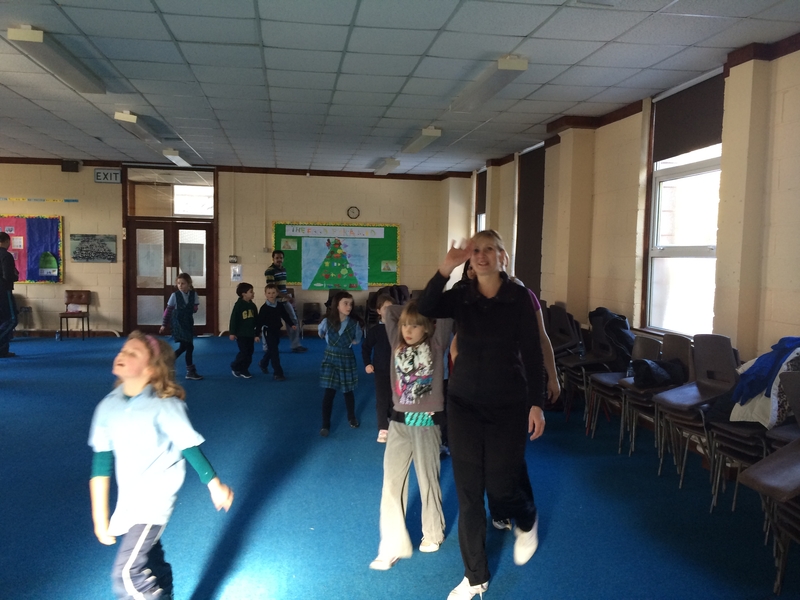 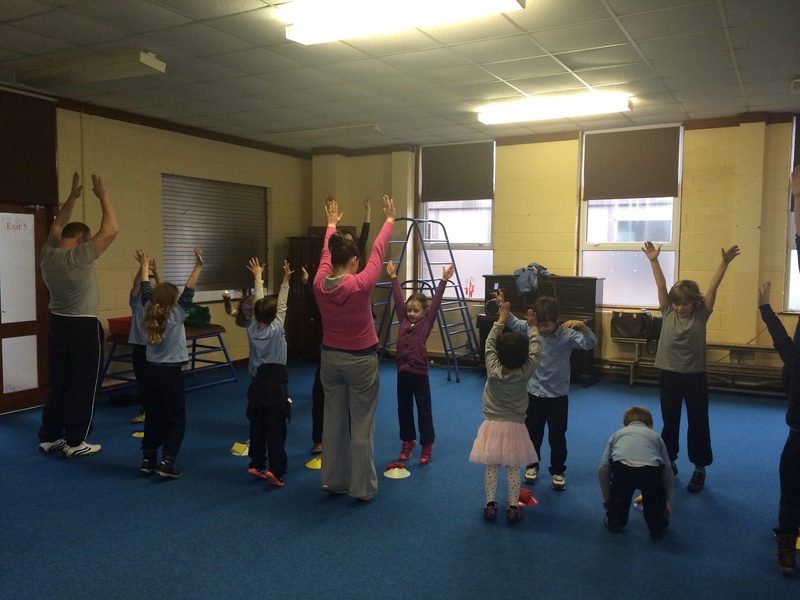 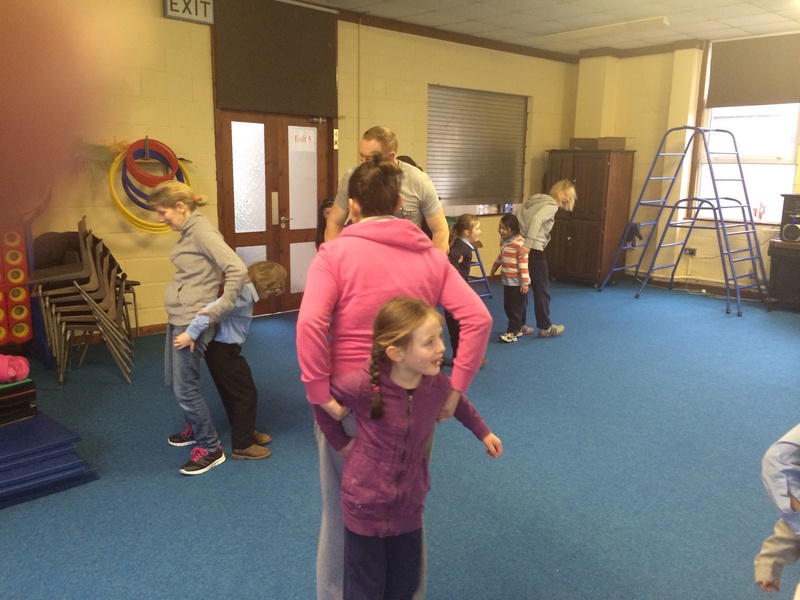 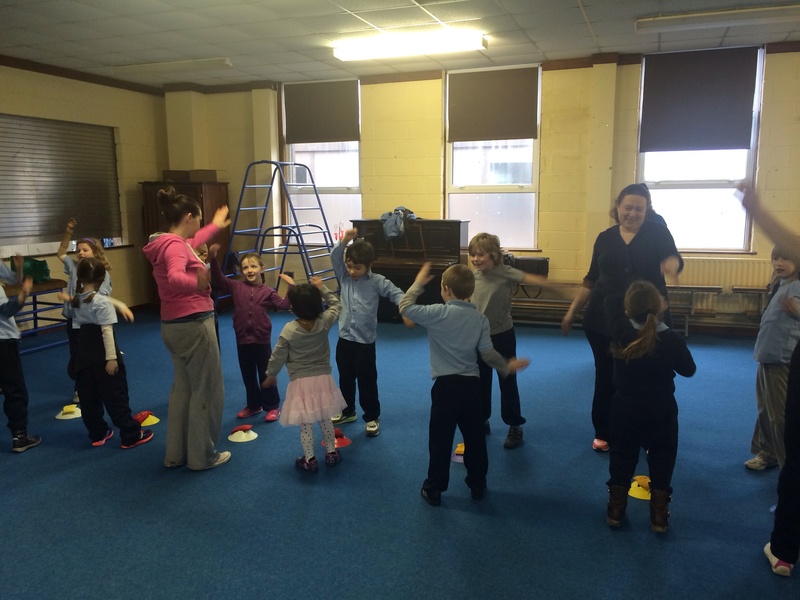 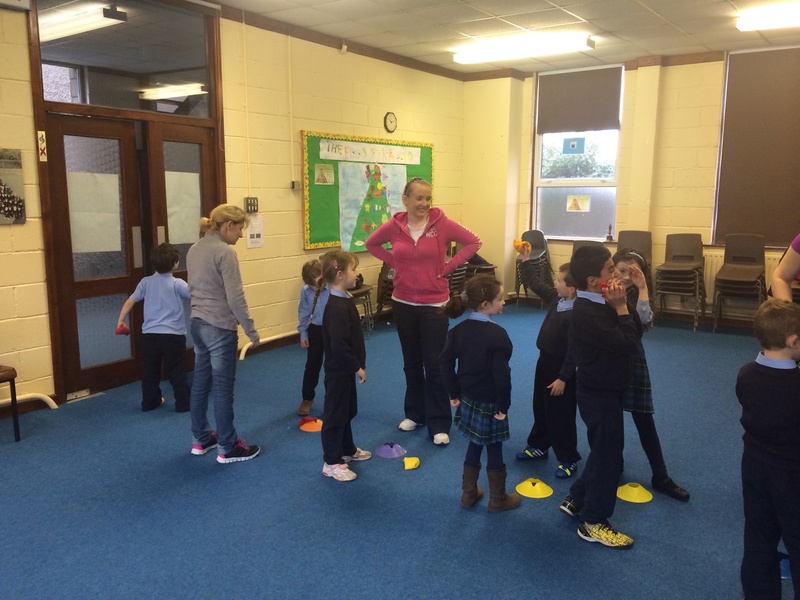 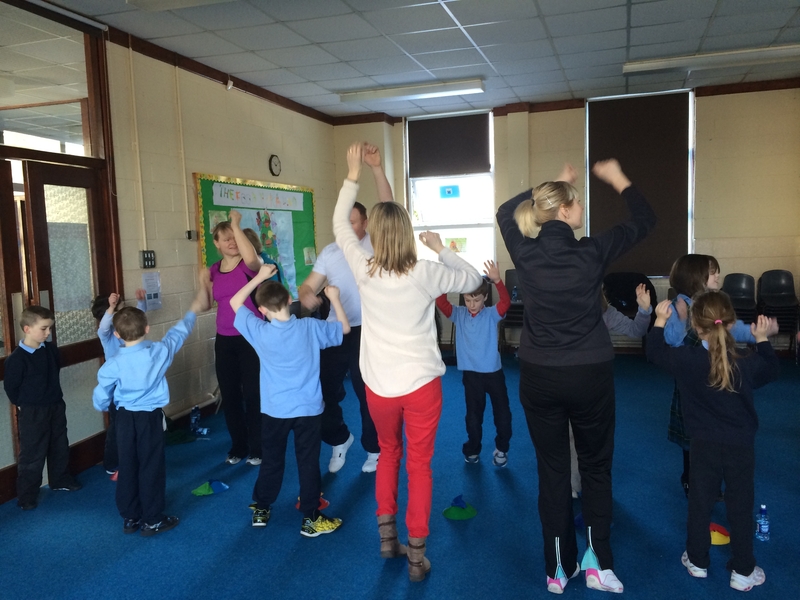 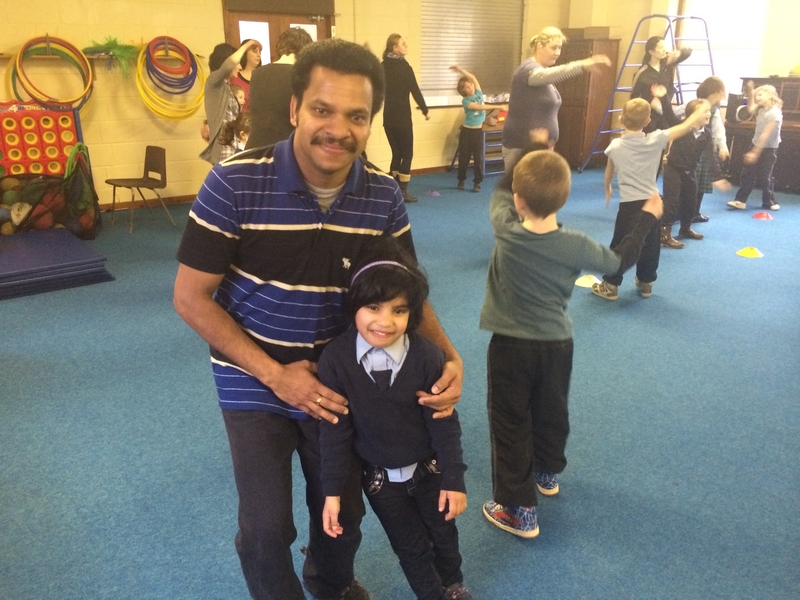 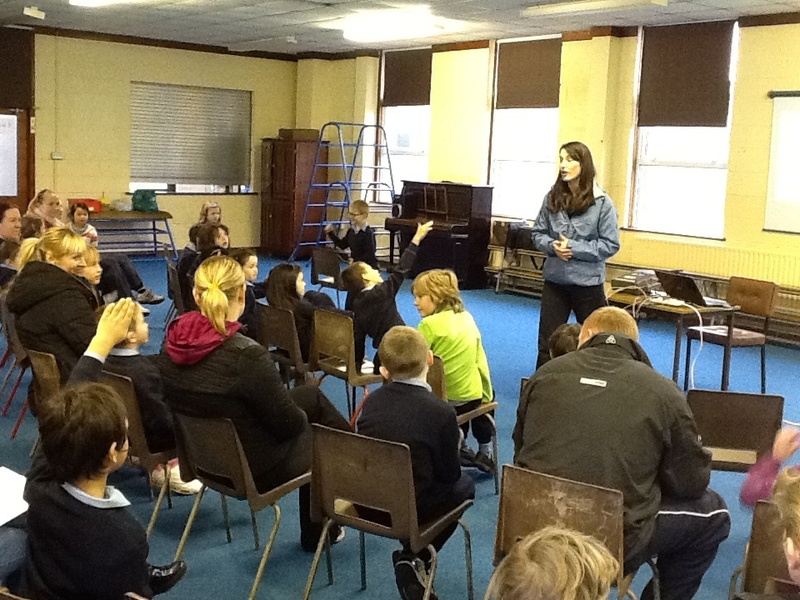 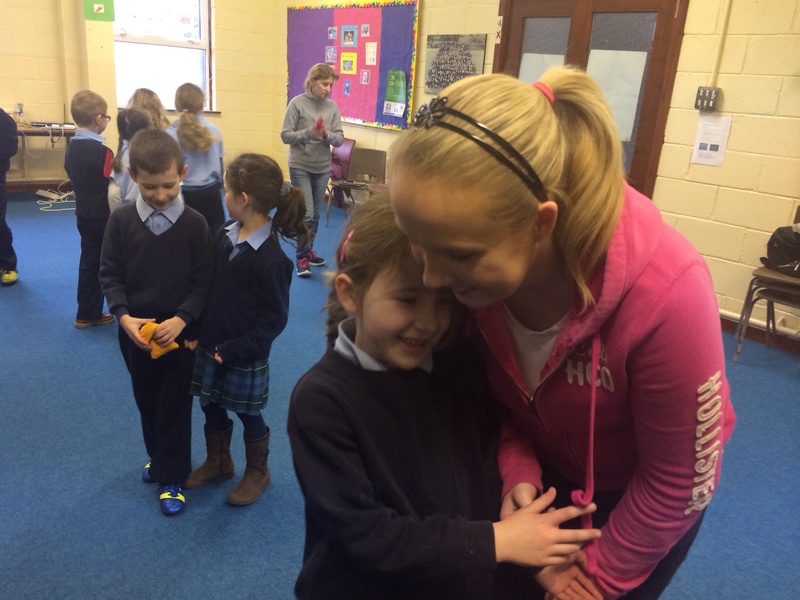 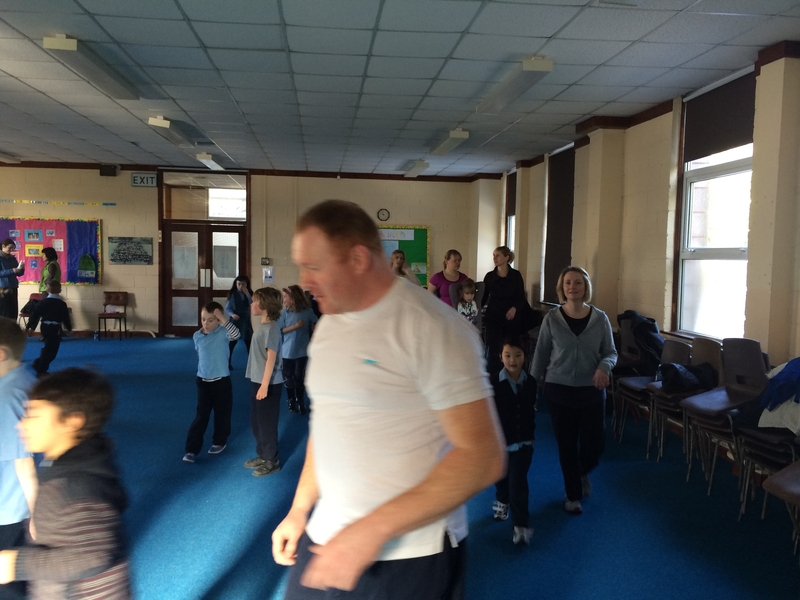 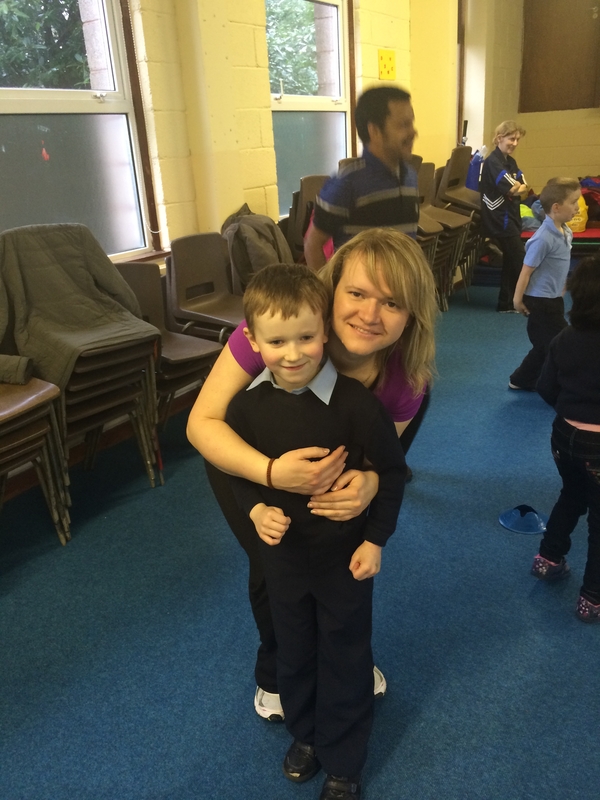 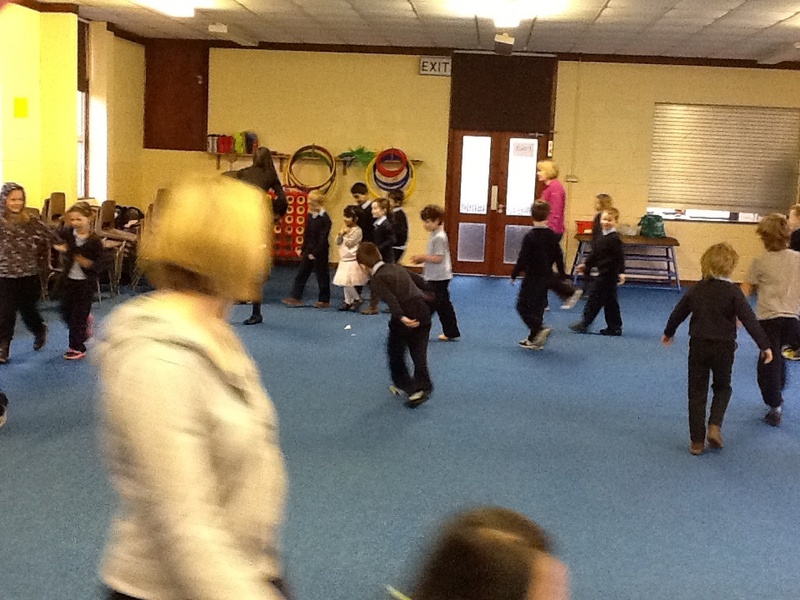 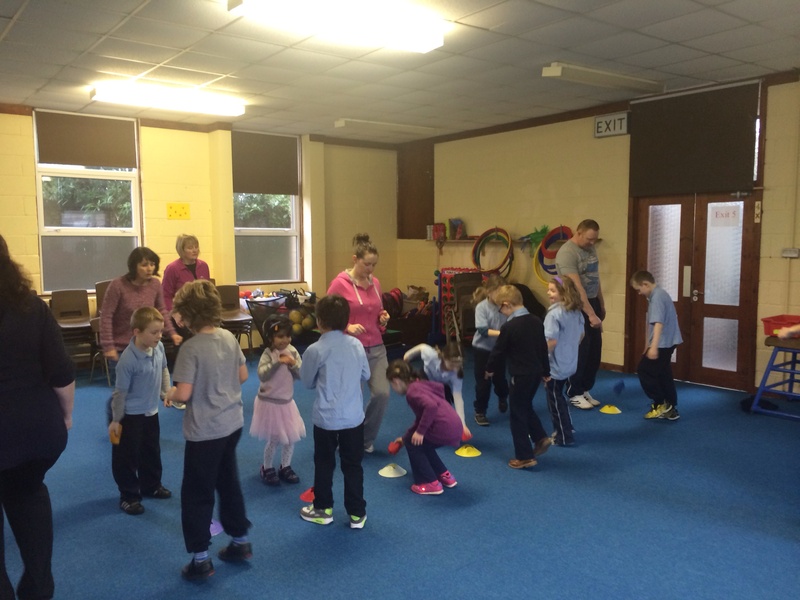 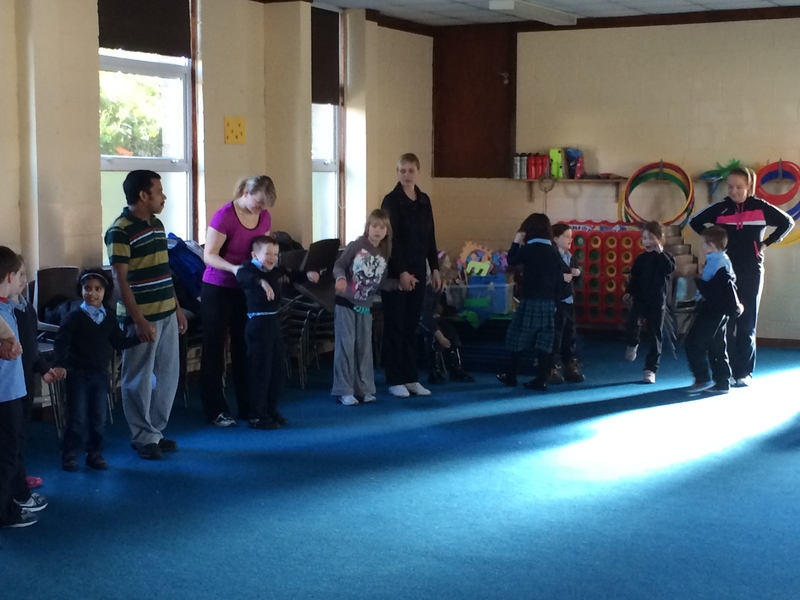 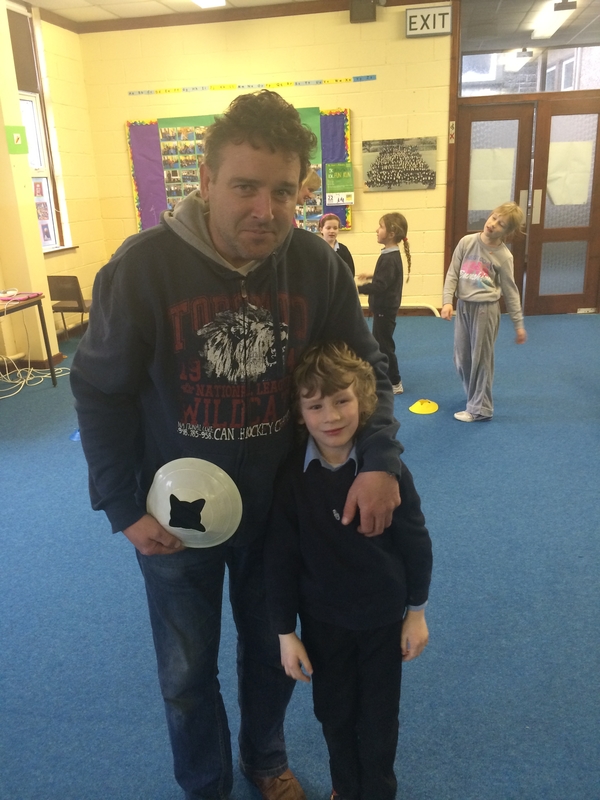 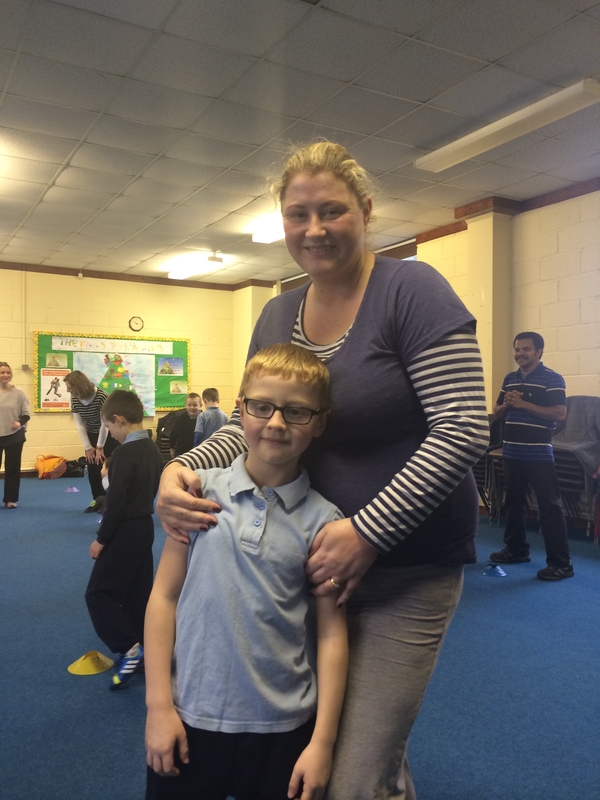 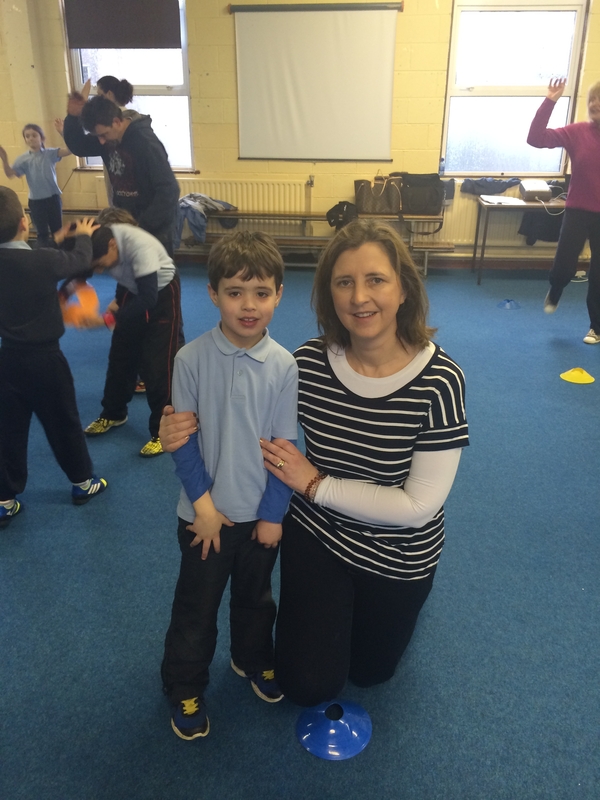 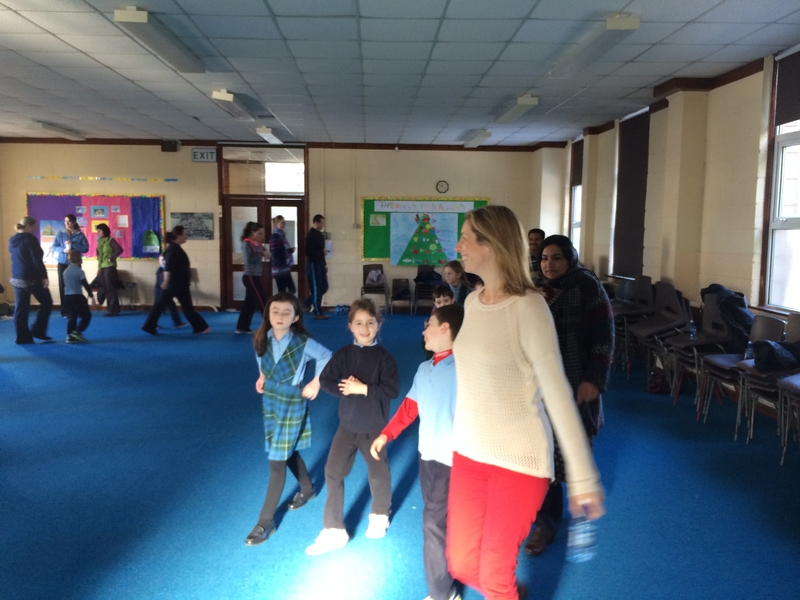 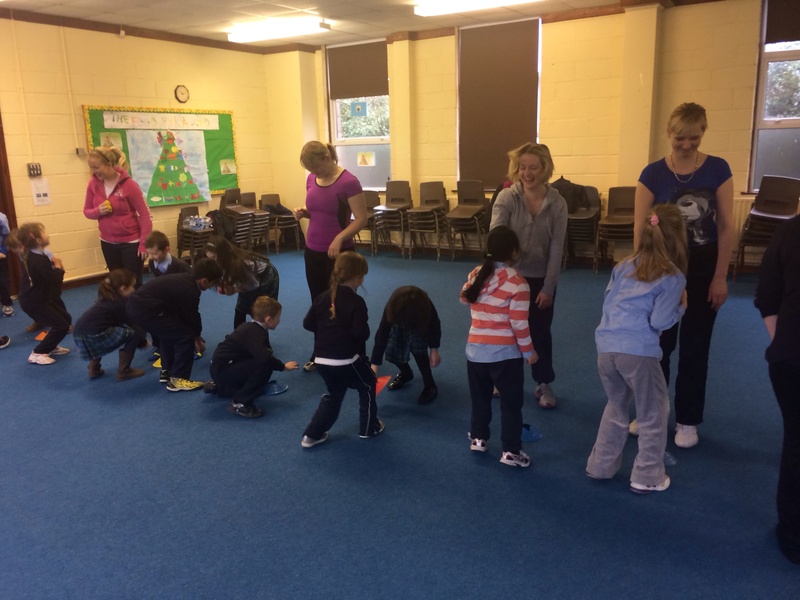 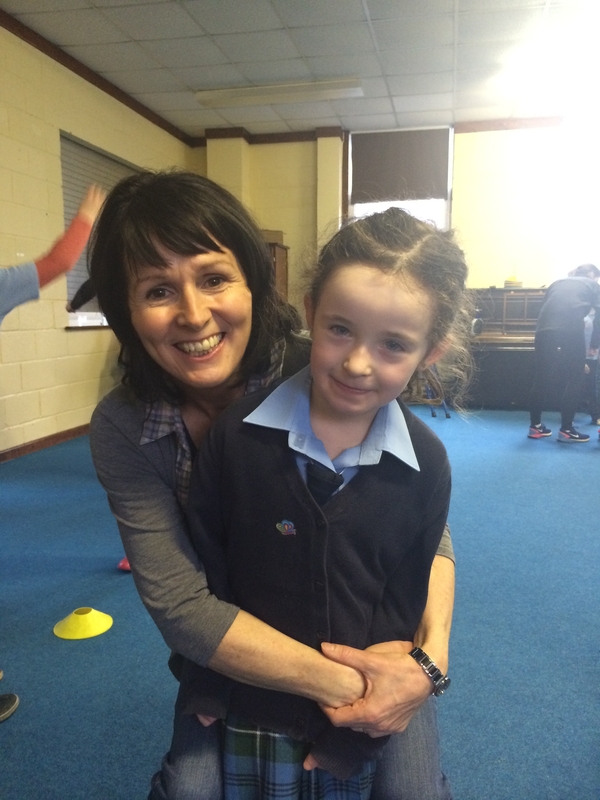 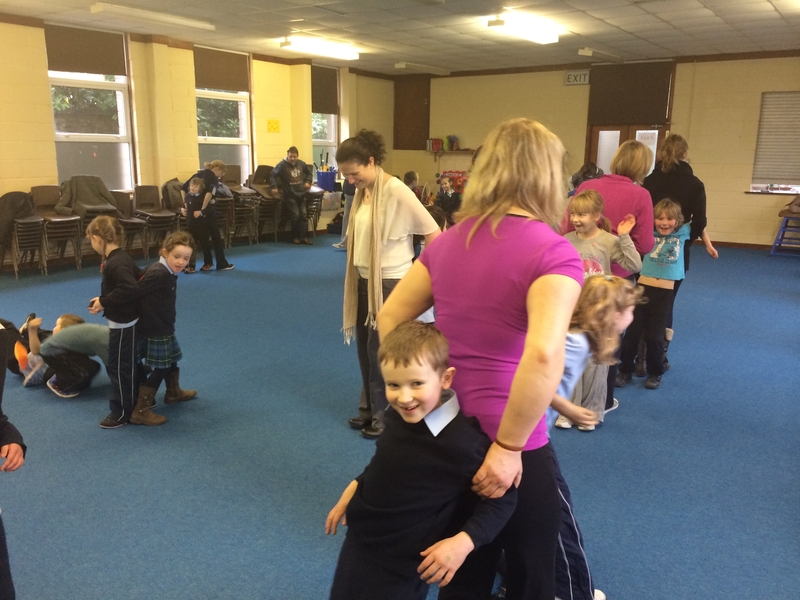 First Class children and their parents have started a Healthy Lifestyle Programme. 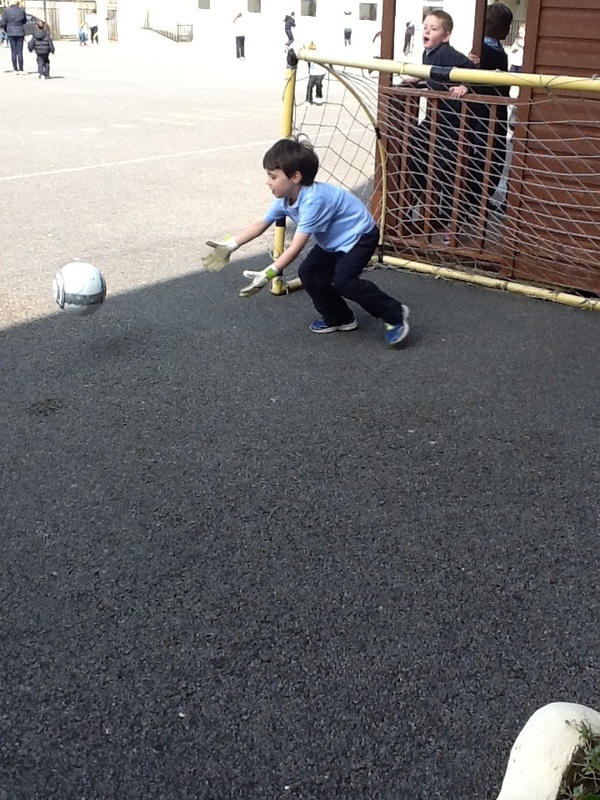 This programme will be ran over four weeks. 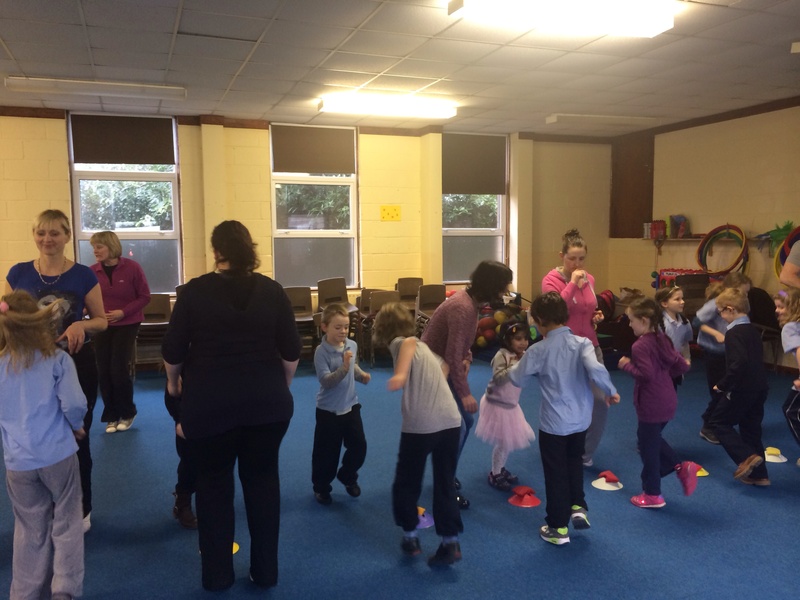 The aim of the programme is to help parents and children to develop good eating habits and to become more physically active which will help to avoid serious illness in later life. 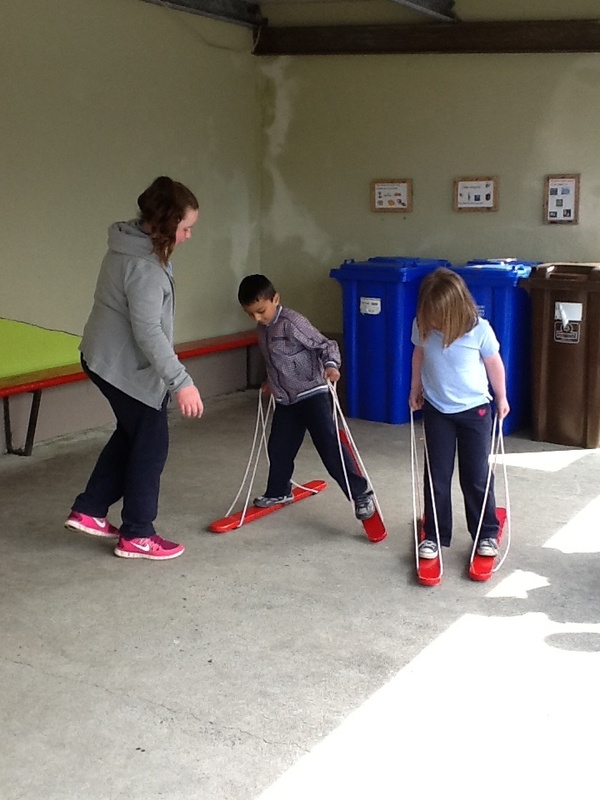 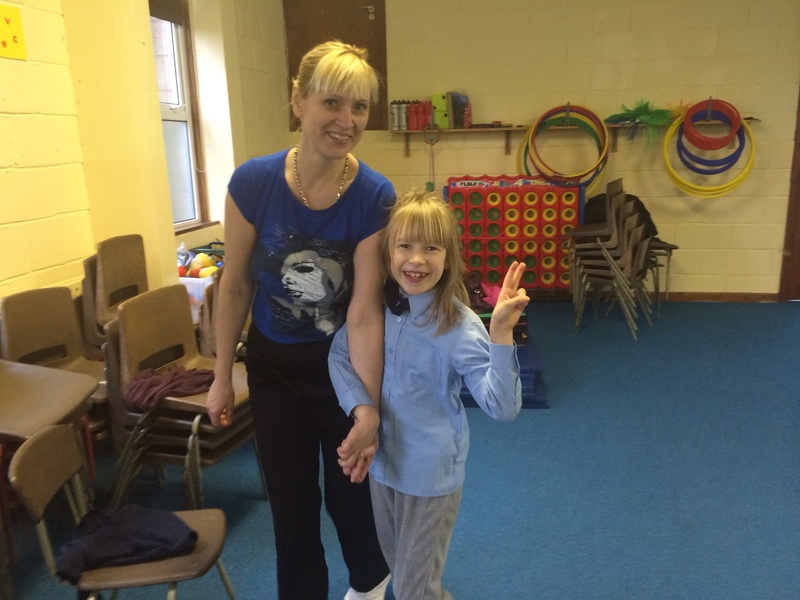 During each of the sessions, the children and their parents engage in a variety of physical activities. 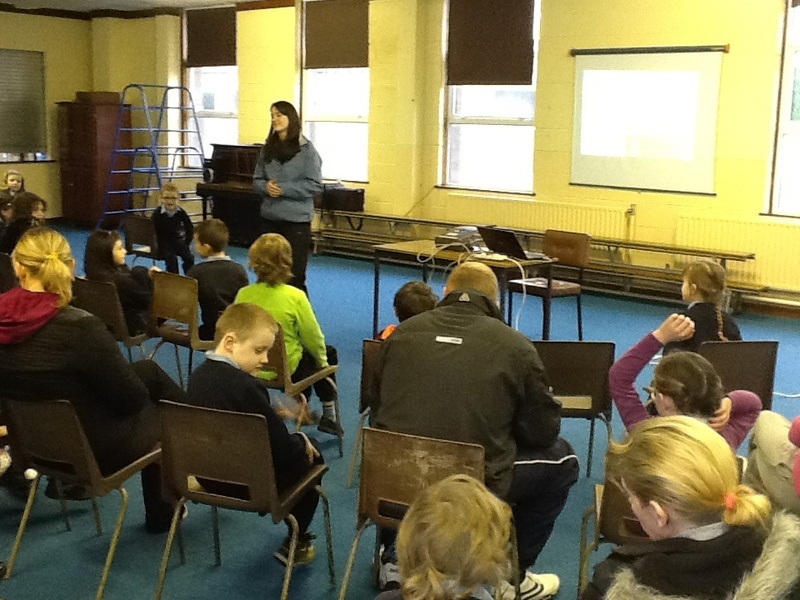 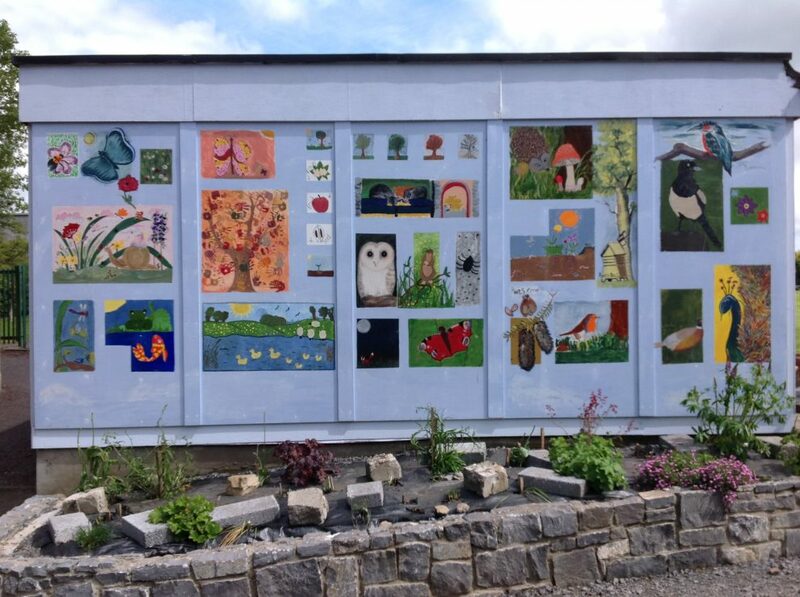 The programme is very enjoyable and worthwhile for the children and adults. 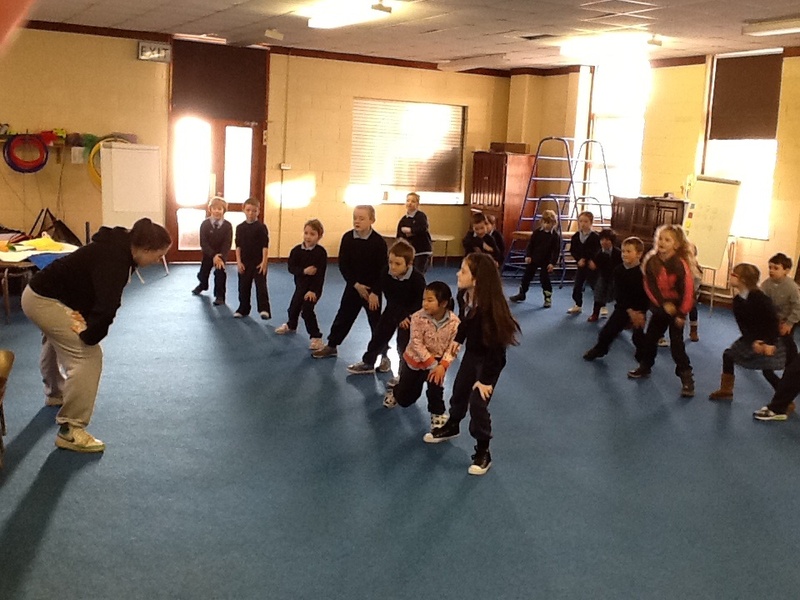 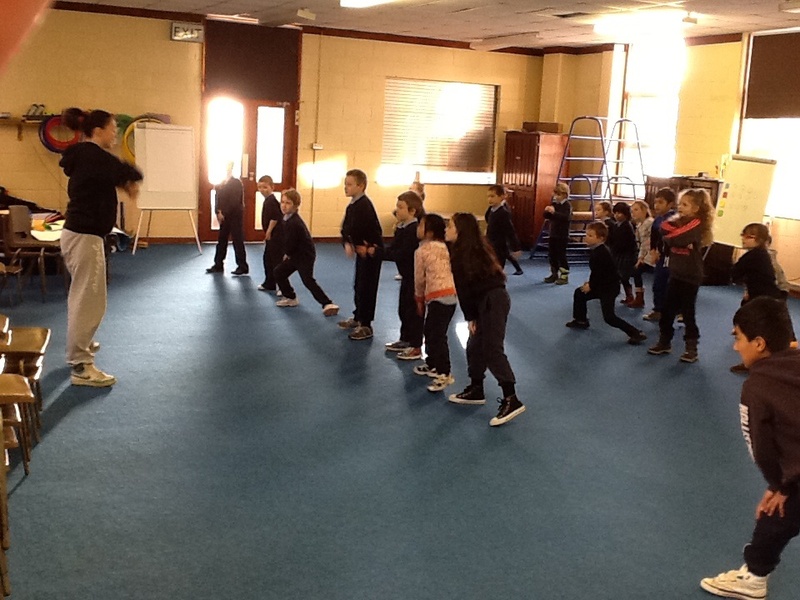 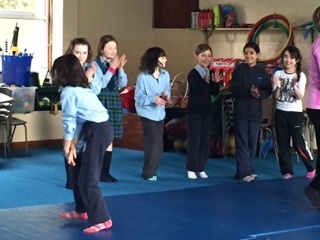 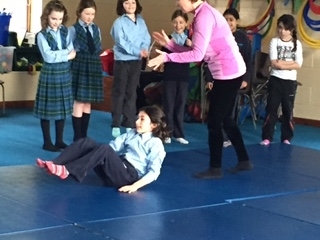 During the months of January and February, each class participated in hip hop dance . 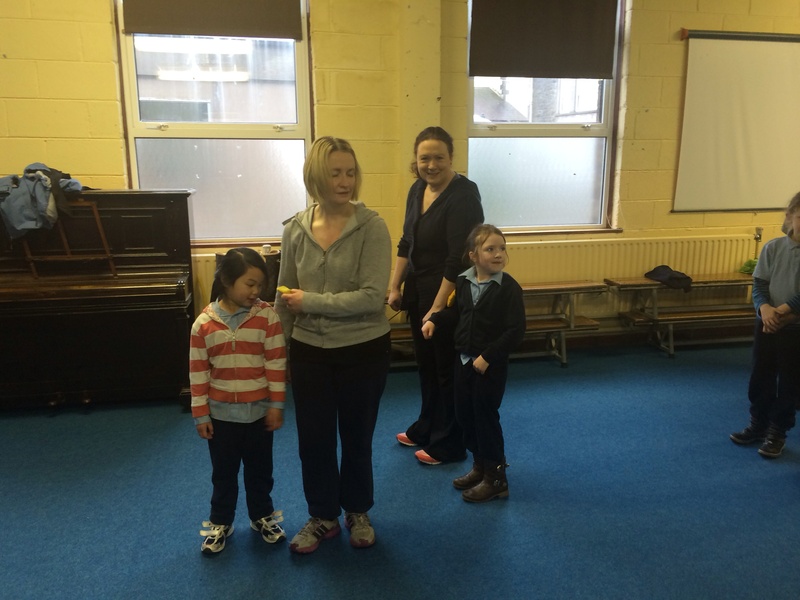 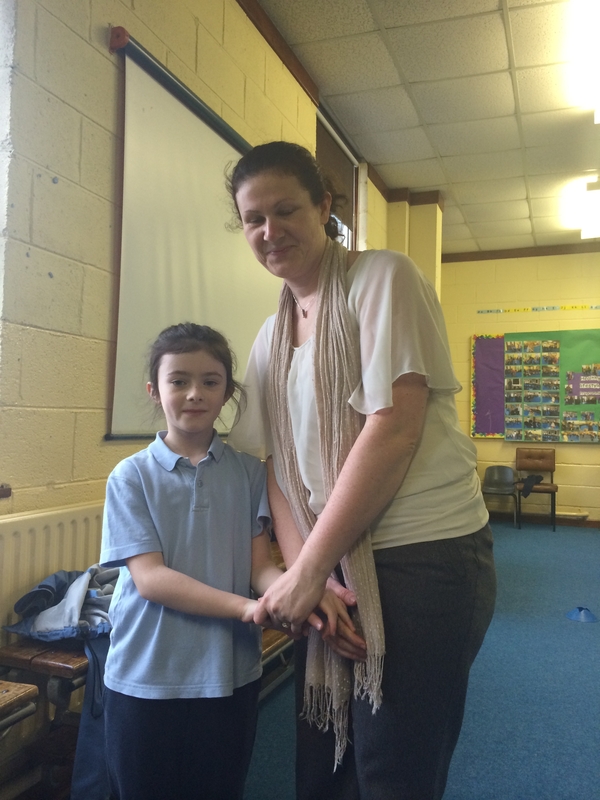 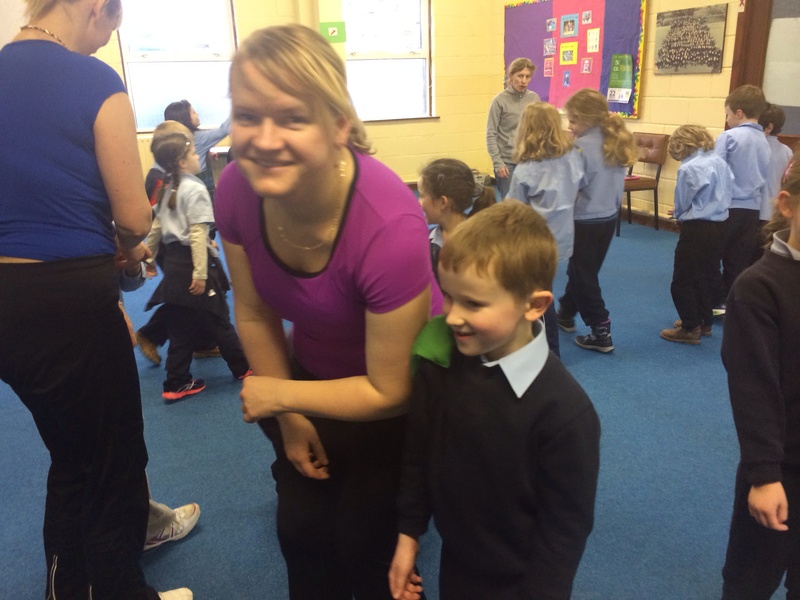 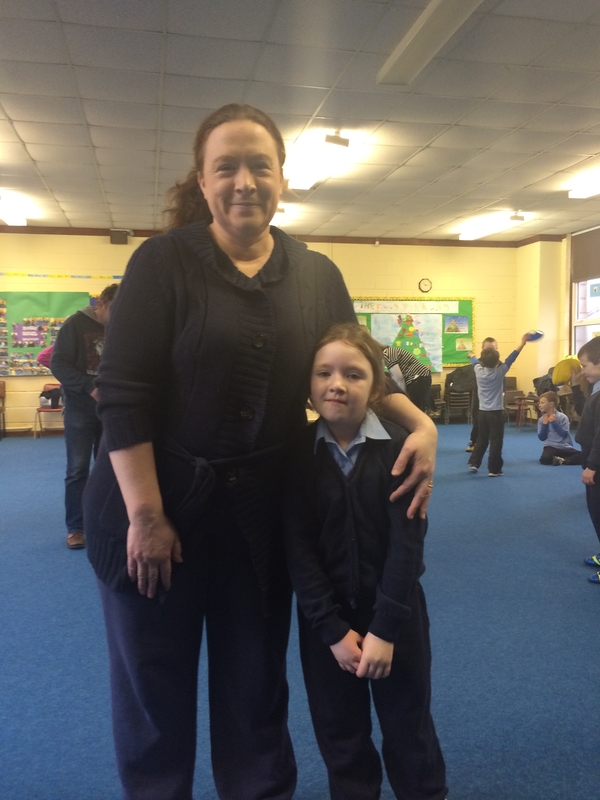 Tricia Mc Dermott was our dance teacher and she came every Friday for six weeks. 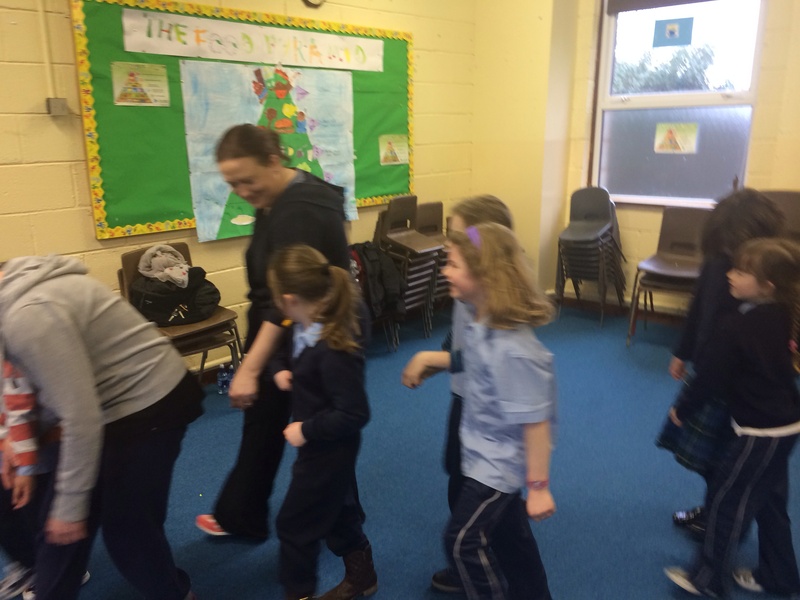 She took each class for a 40 minute dance lesson.